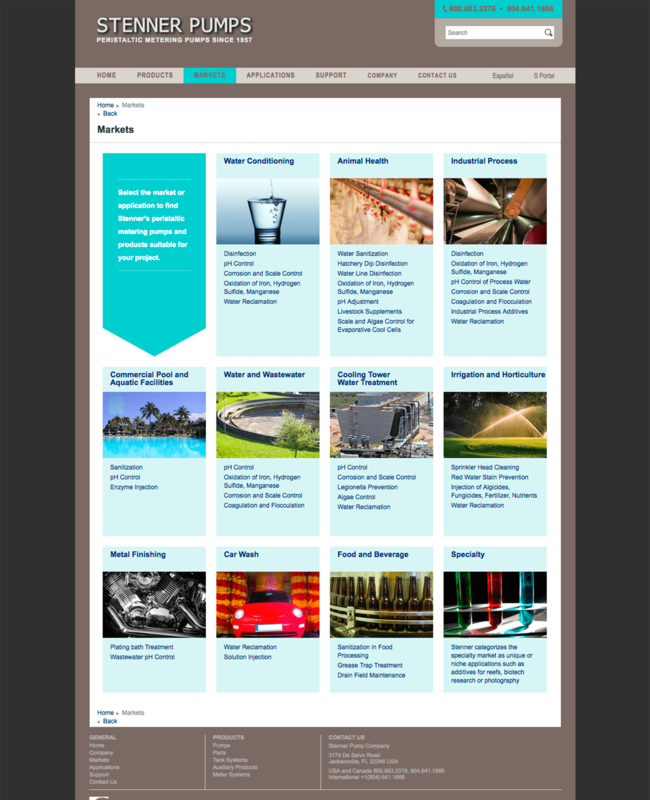 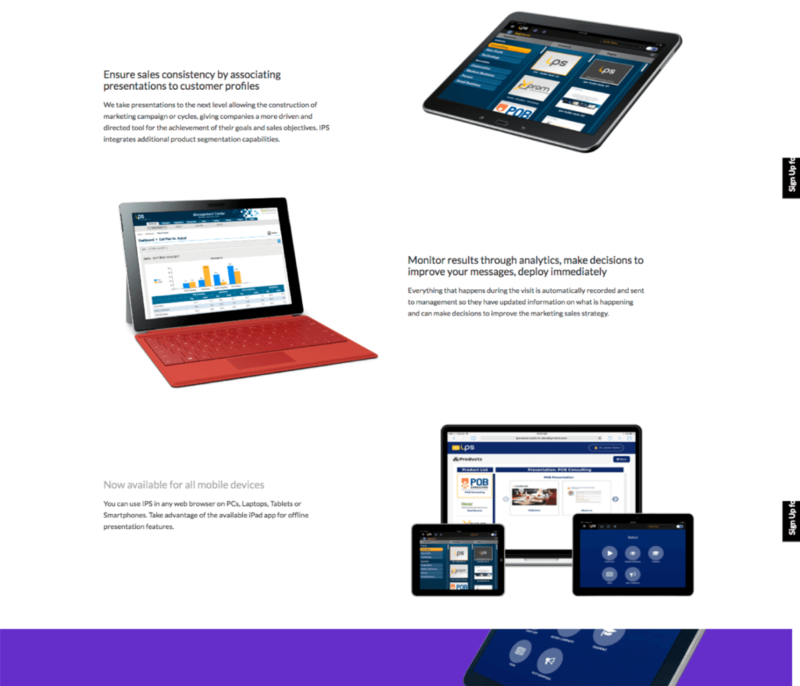 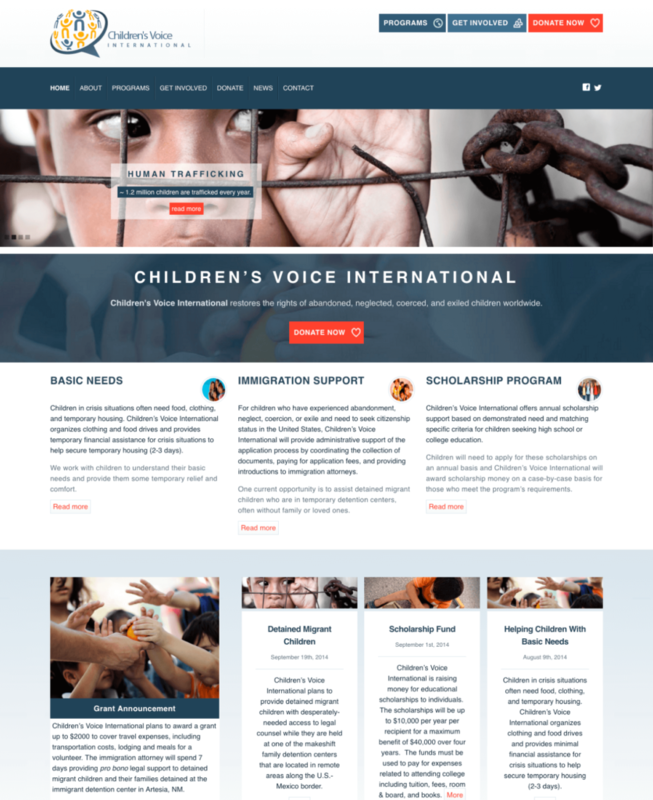 Below is a sample of websites and applications that we developed and/or maintain. 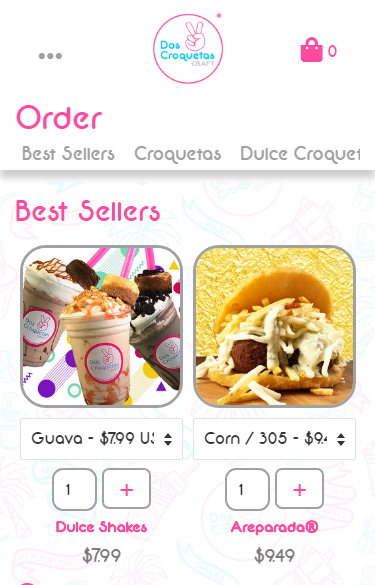 Your projects are developed to be mobile friendly, easy to maintain and providing the best user experience possible. 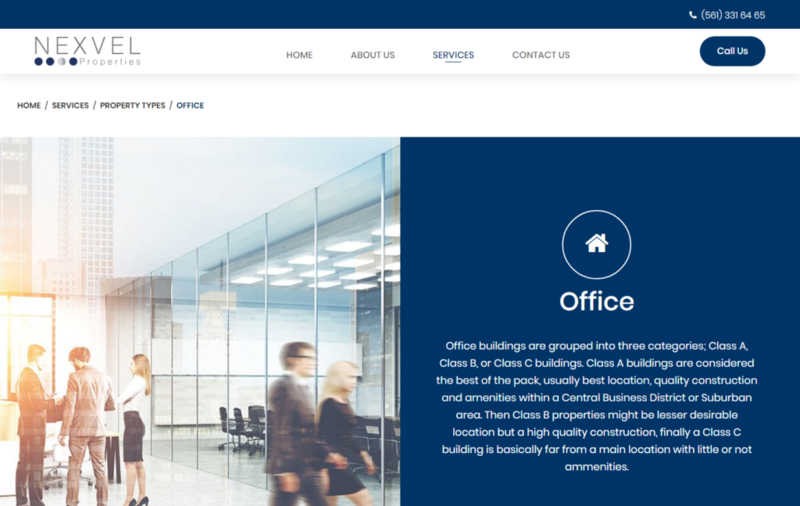 Call us for more information and samples of other projects we have worked on. 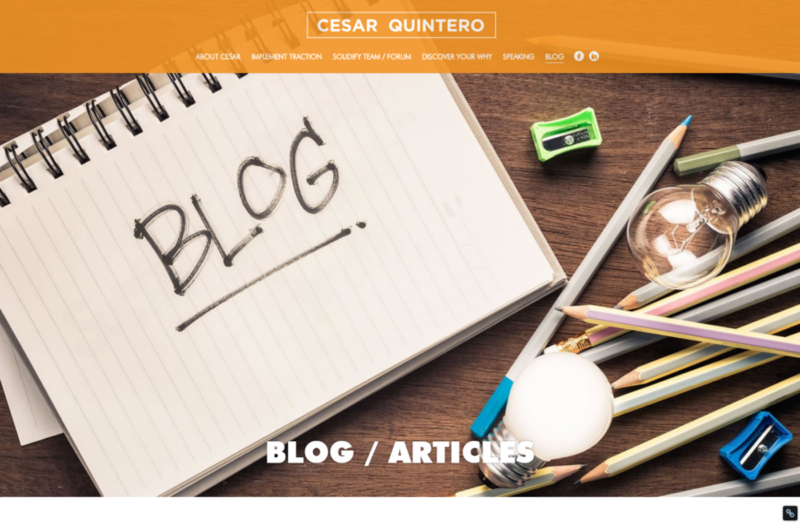 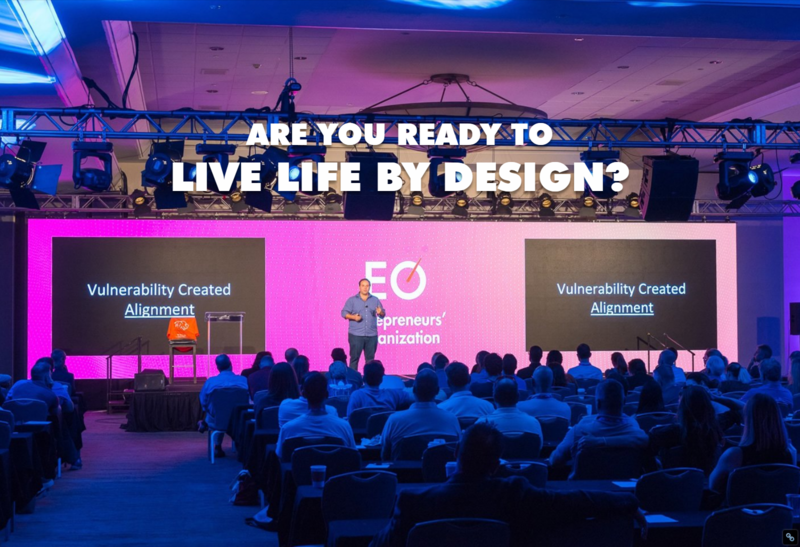 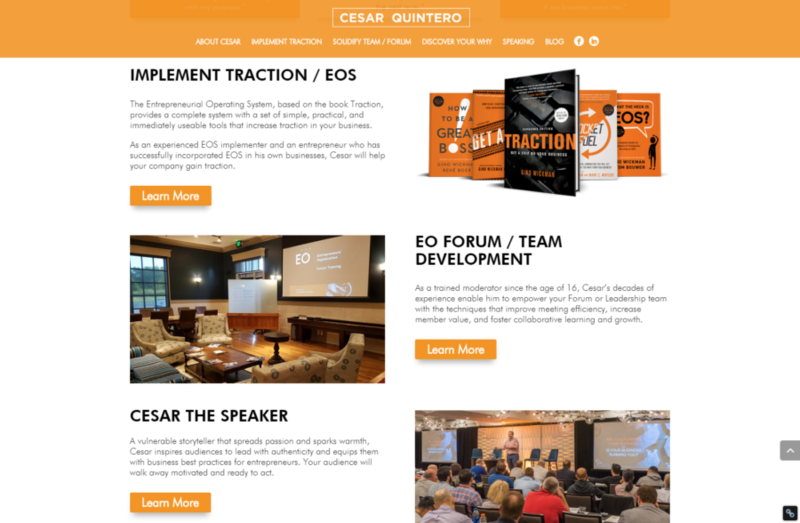 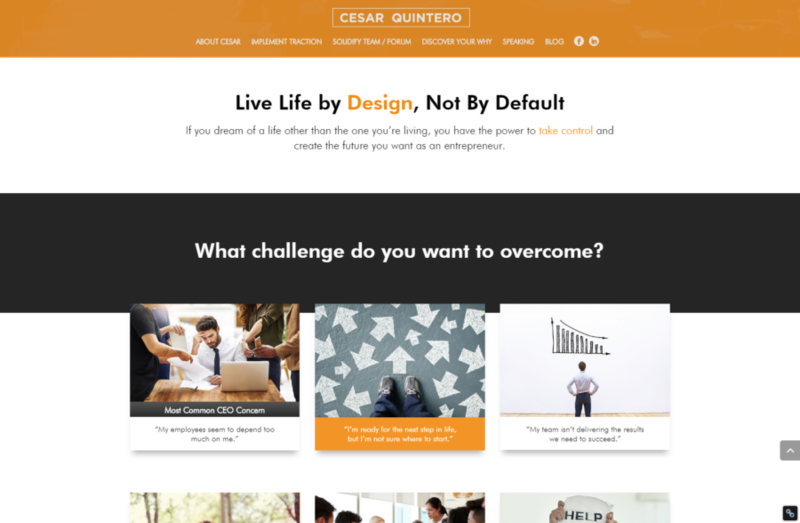 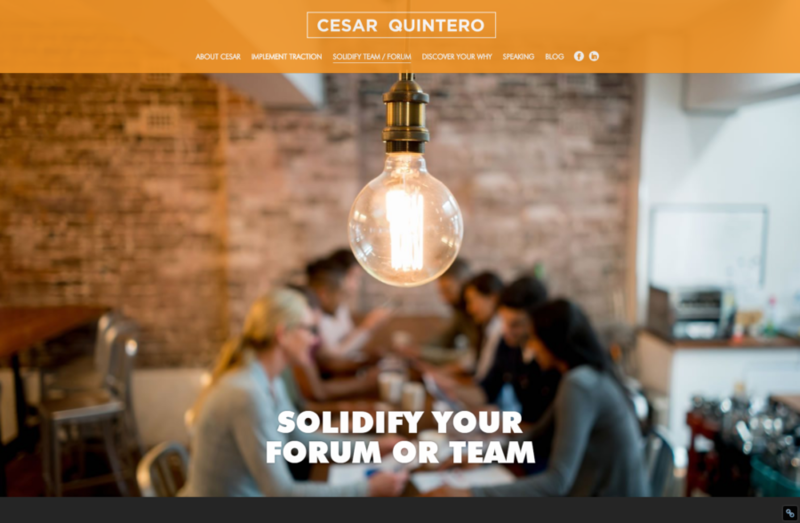 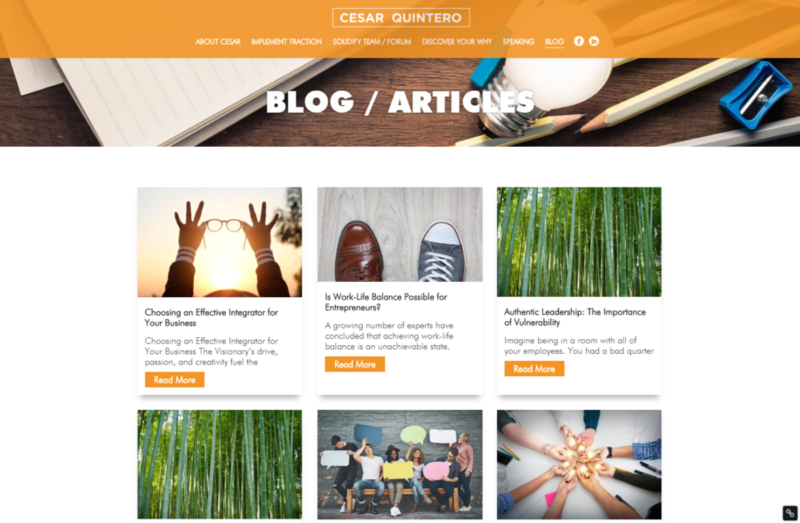 www.theprofitrecipe.com Cesar Quintero is also a Licensed Implementer of the Entrepreneurial Operating System (EOS), has been backed by Gazelles International as a certified Trainer for the Accelerator Program, is a certified Resource for Entrepreneurs’ Organization Forum mastermind groups, and is a Why Discovery Activator for Advantages. 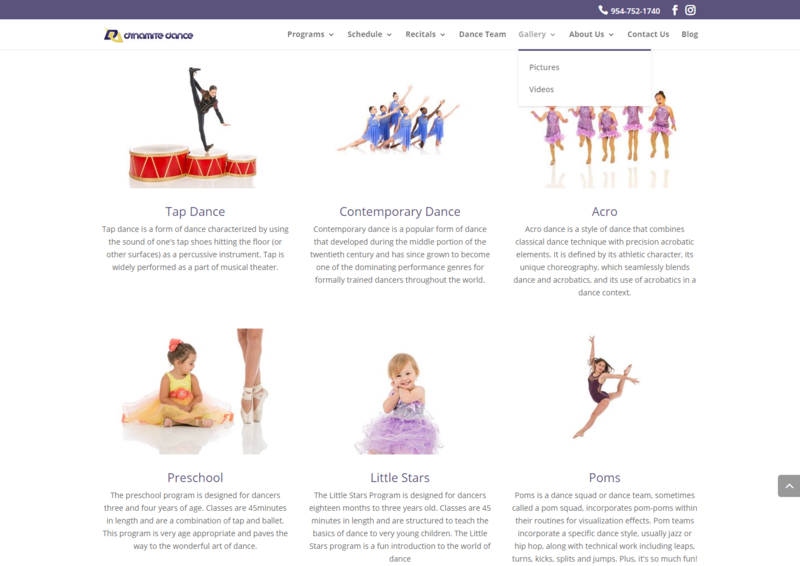 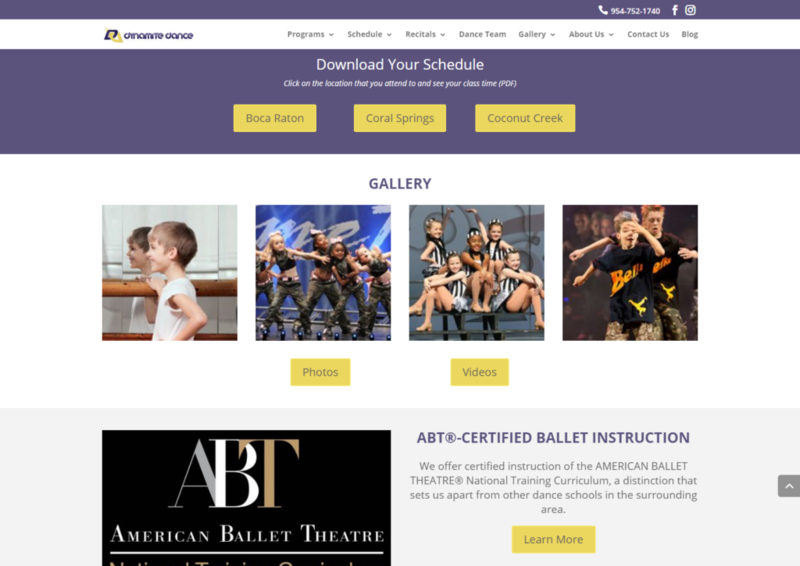 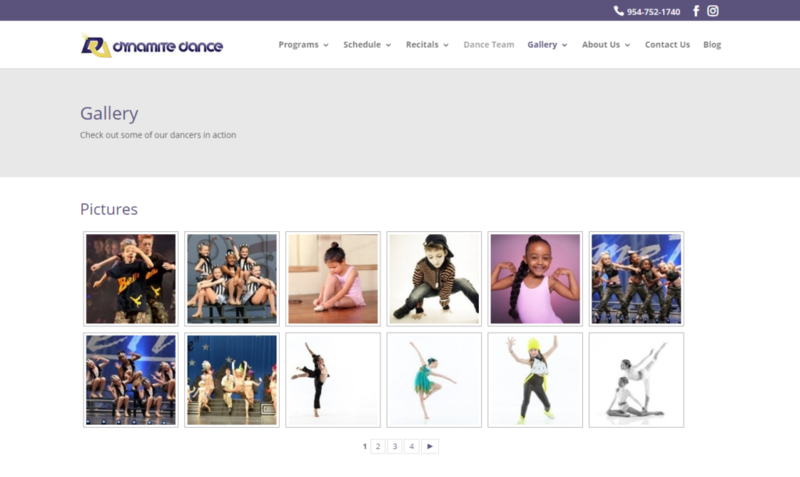 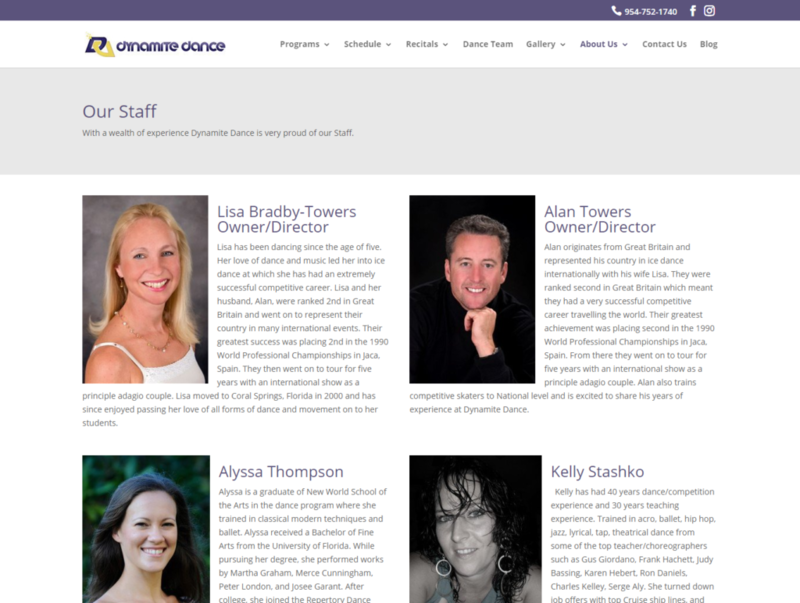 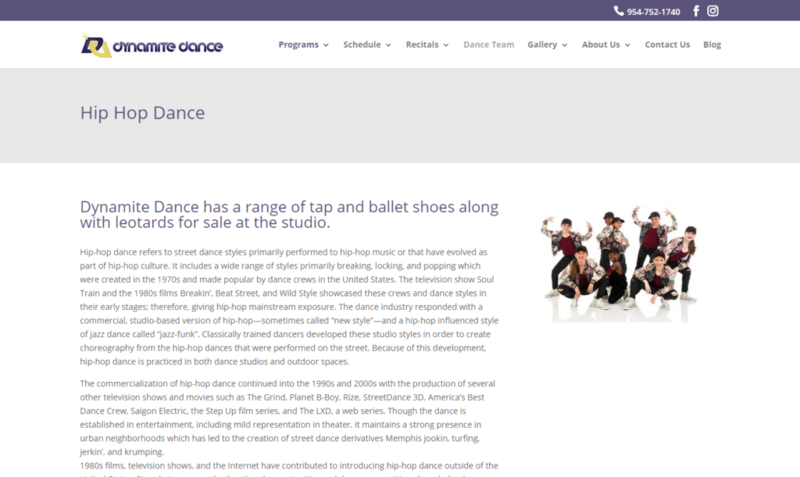 www.dynamitedance.net Dynamite Dance Studio offers Ballet, Hip Hop, Jazz dance classes and more at their Boca Raton, Coral Springas and Coconut Creek locations. 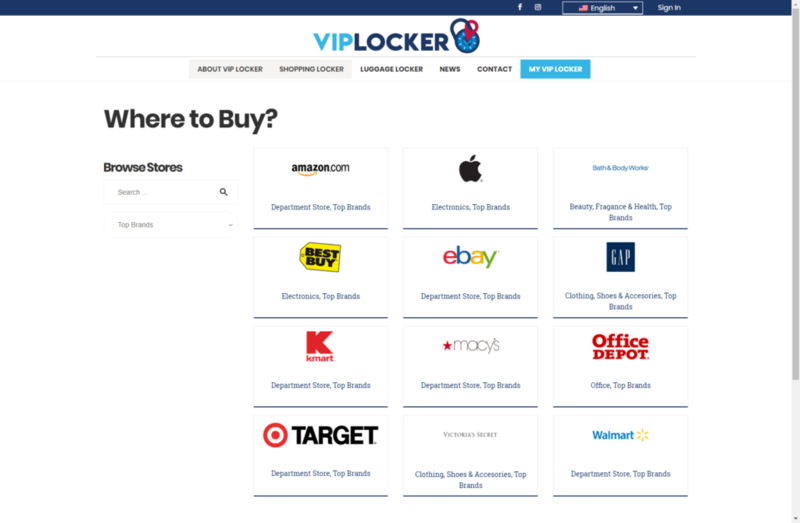 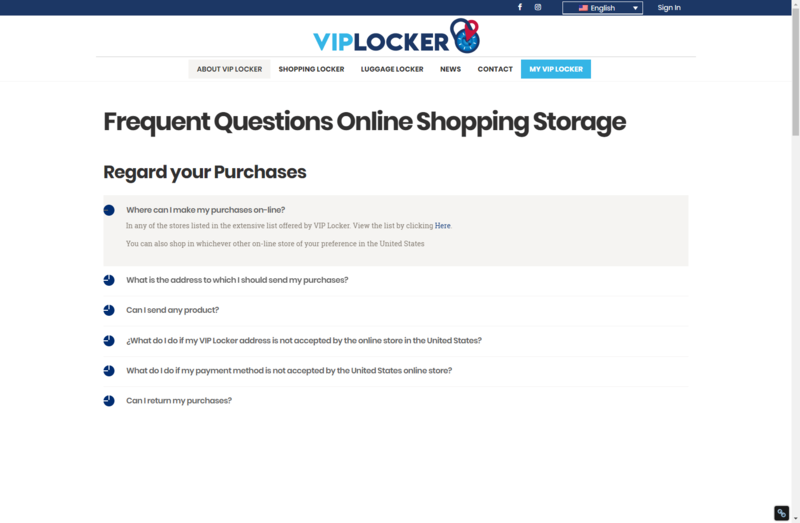 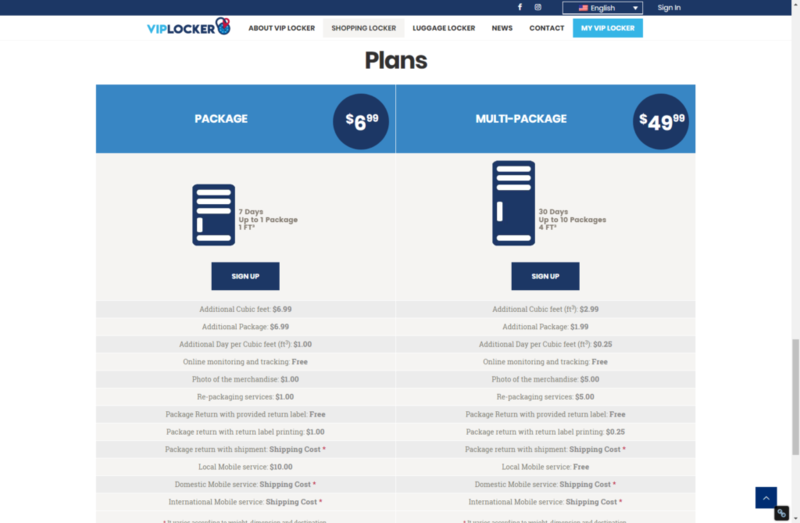 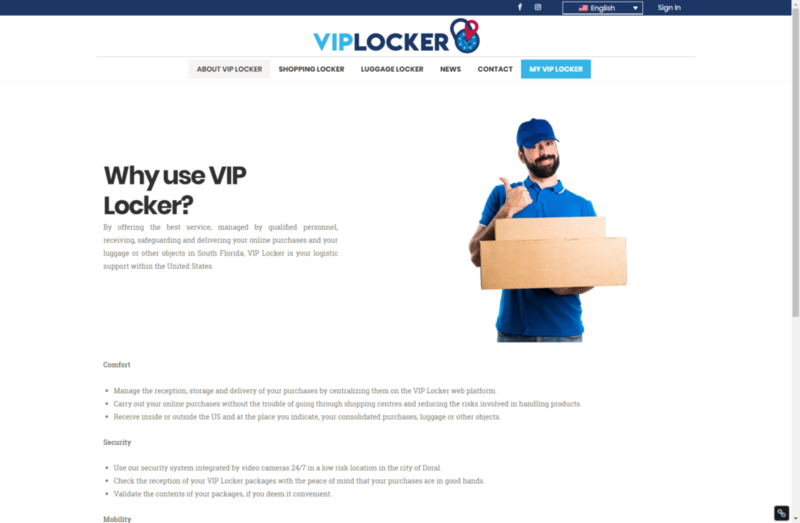 www.viplocker.netVipLocker is a storage service provider for tourists in the US. 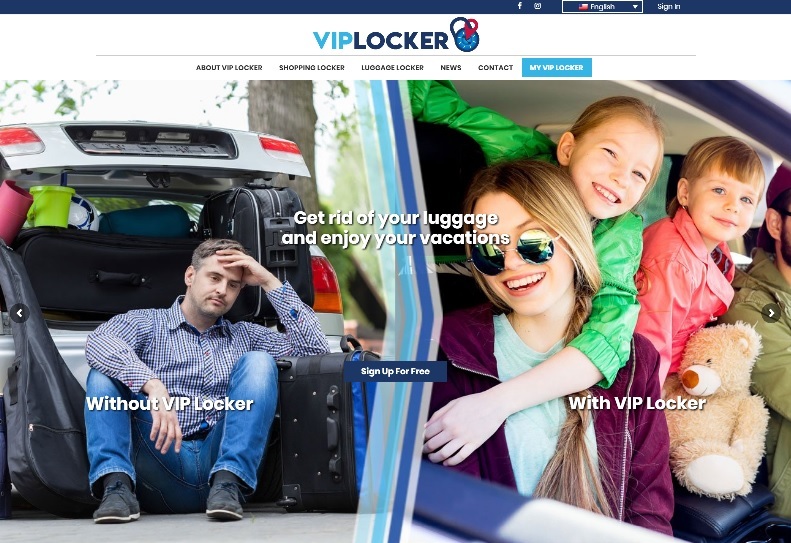 They offer storage for online purchases and luggage storage for when you need to leave additional luggage that you aren't using. 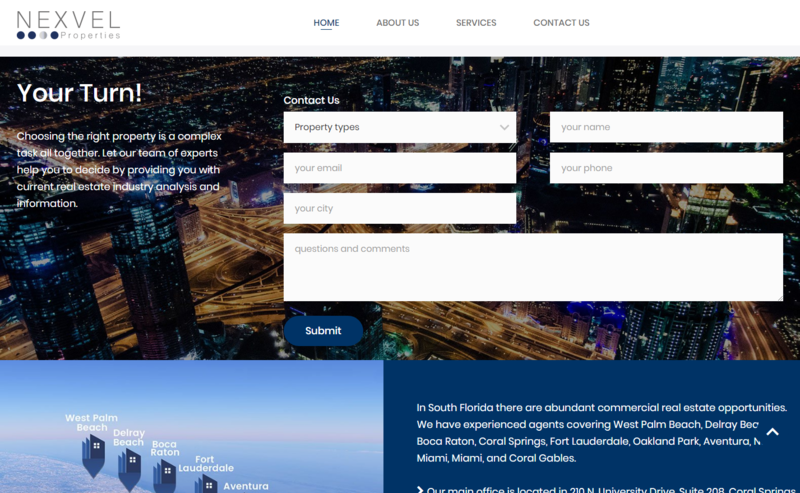 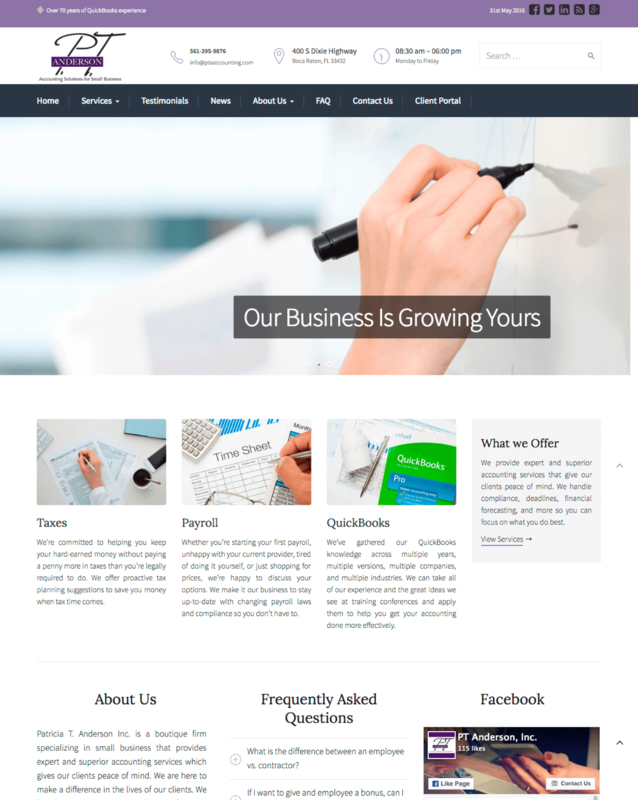 A WordPress website with online purchasing and a custom customer portal was developed for this service. 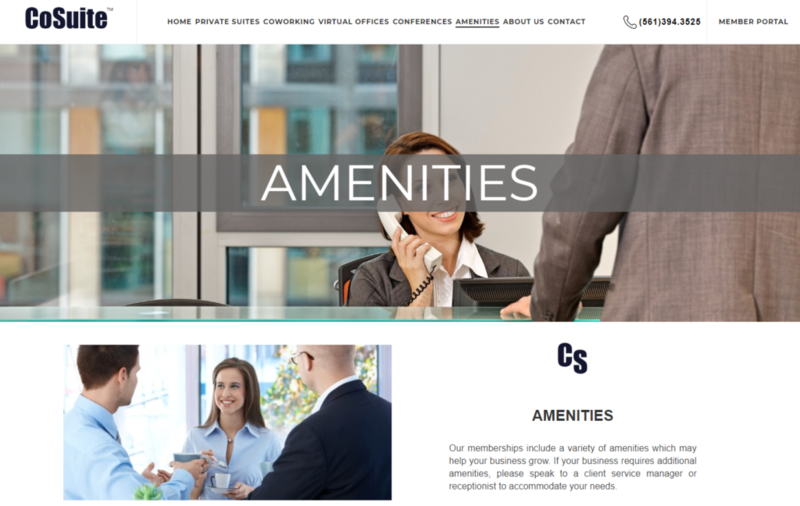 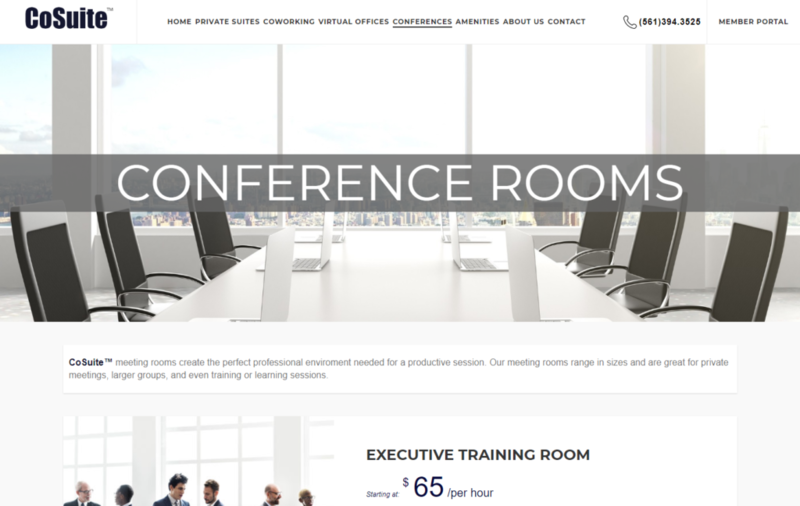 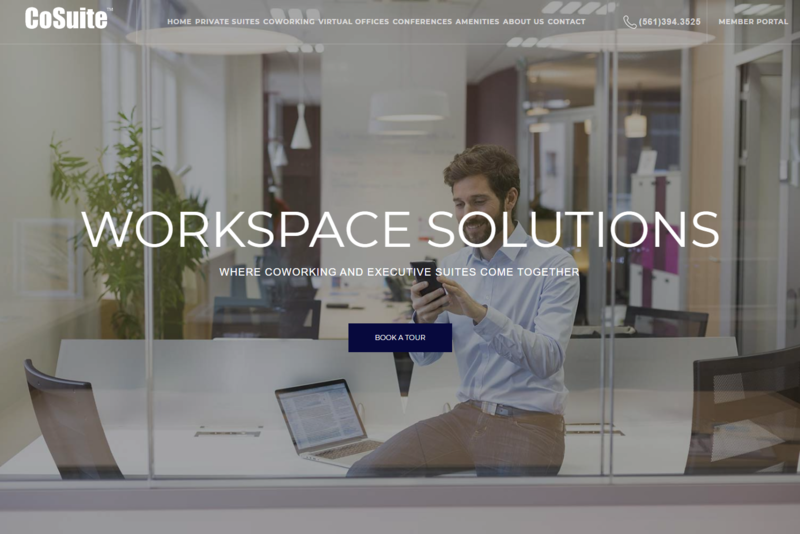 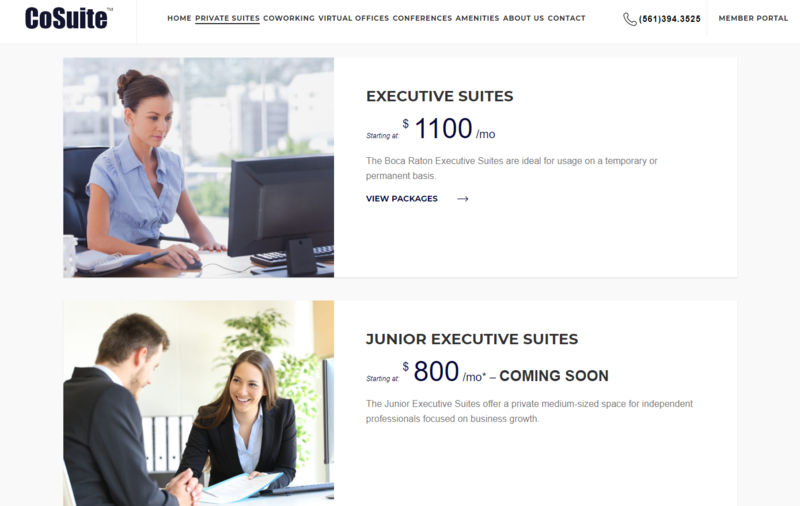 www.cosuite.com CoSuite is offering a variety of workspace solutions where coworking and executive suites come together. 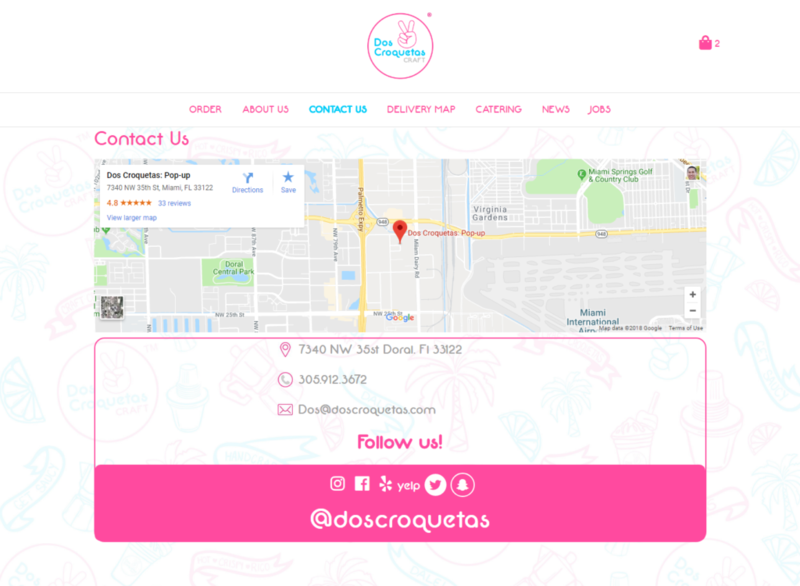 Located in central Boca Raton, FL. 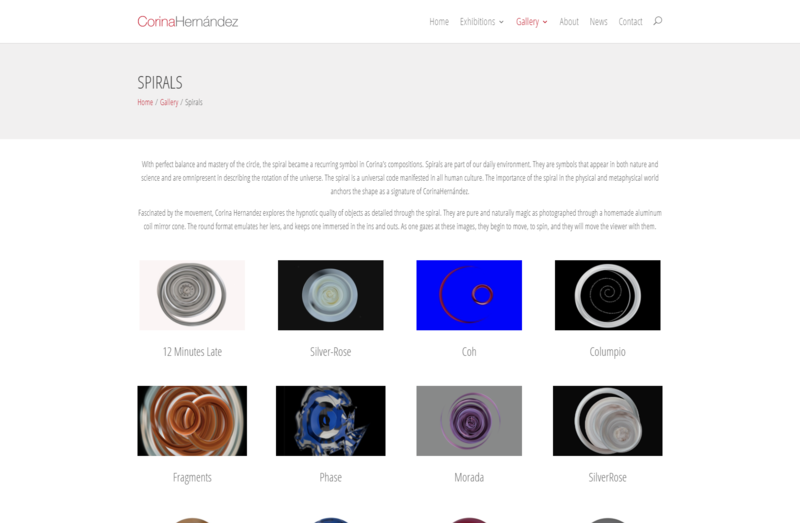 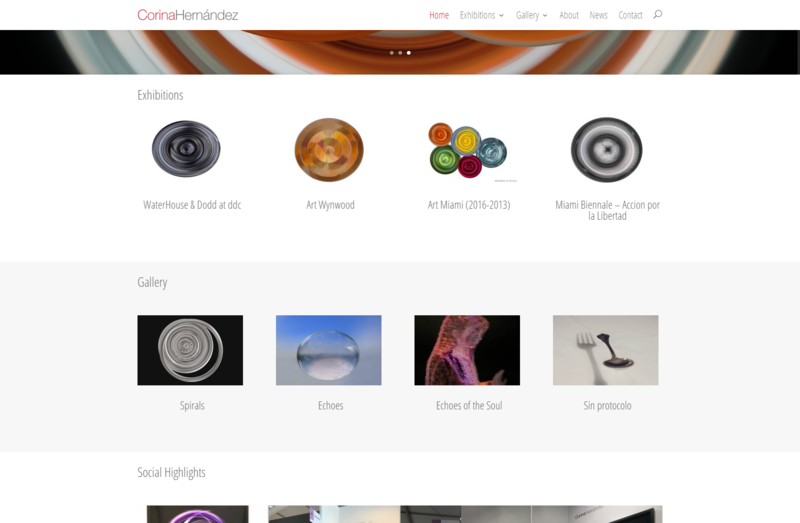 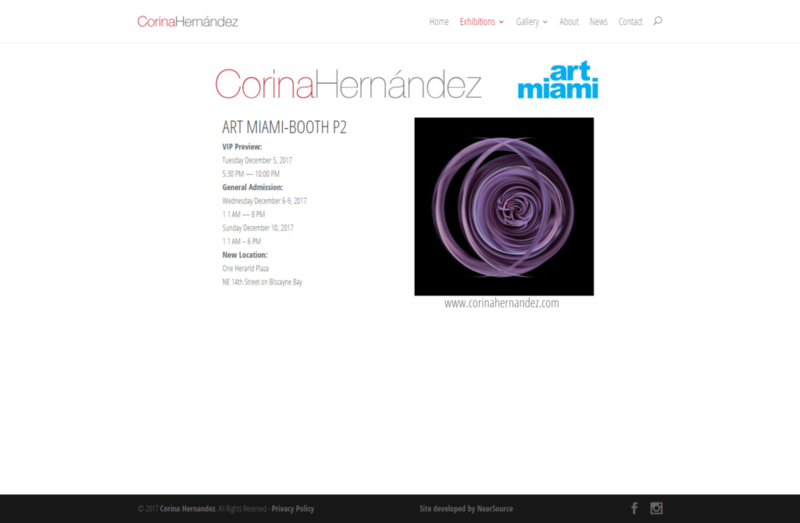 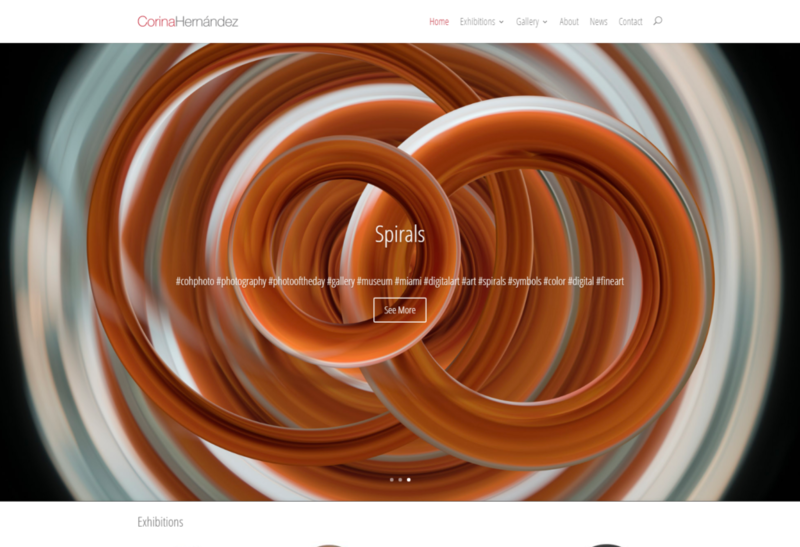 www.corinahernandez.com Corina Hernandez, Venezuelan photographer born in Caracas. 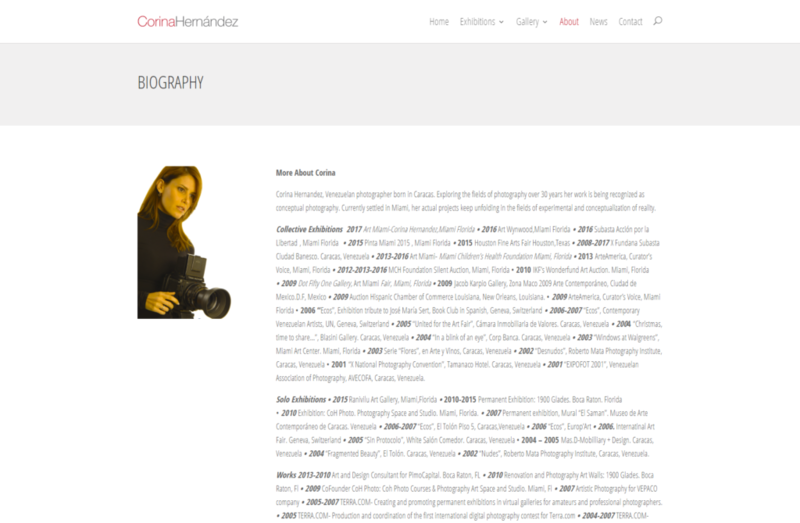 Exploring the fields of photography over 30 years her work is being recognized as conceptual photography. 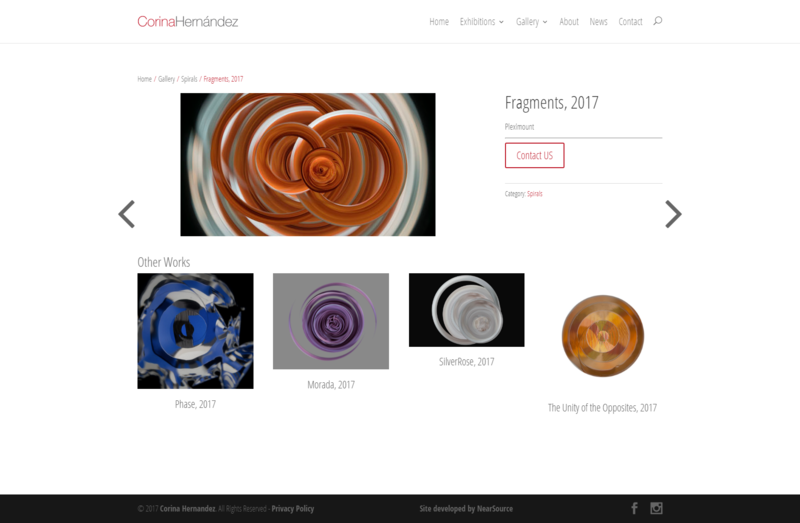 Currently settled in Miami, her actual projects keep unfolding in the fields of experimental and conceptualization of reality. 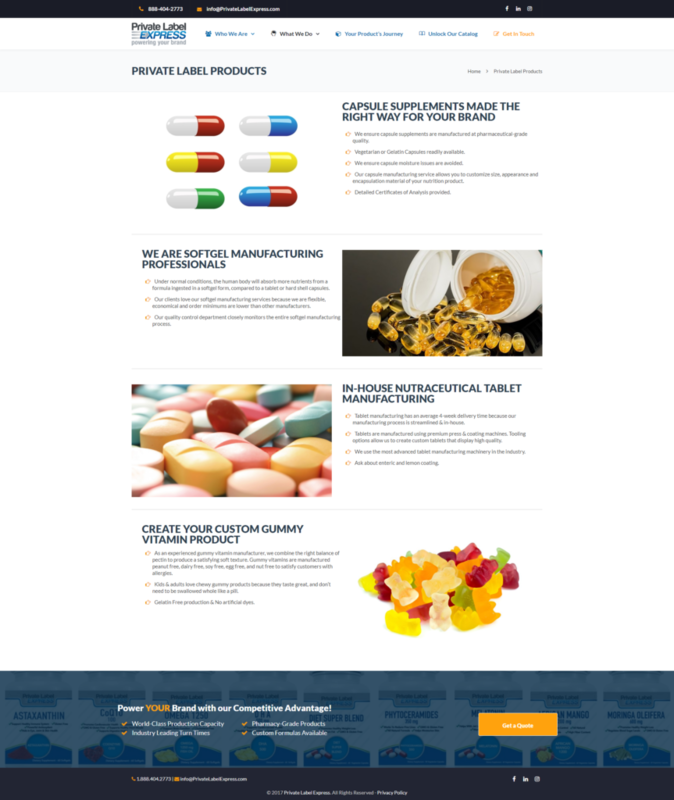 www.privatelabelexpress.com Founder Robert De Lima strived to create a company that could meet the needs of the growing vitamin/softgel market. 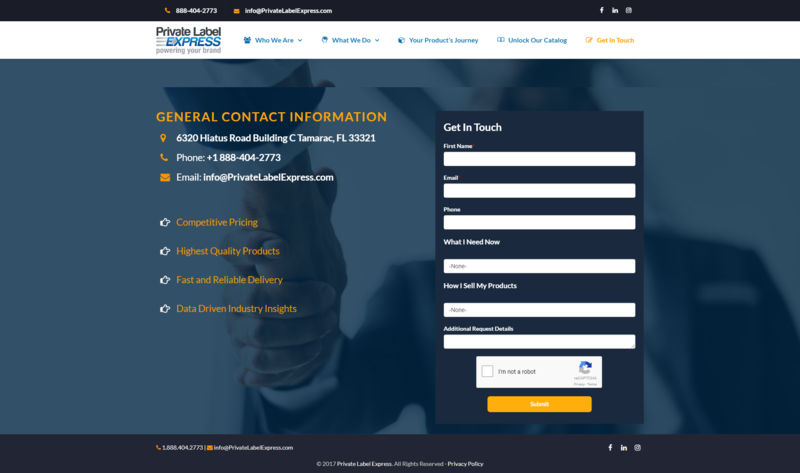 Private Label Express combines world-class manufacturing capacity, high-quality products, and best-in-the-industry customer care to give you the best experience possible. 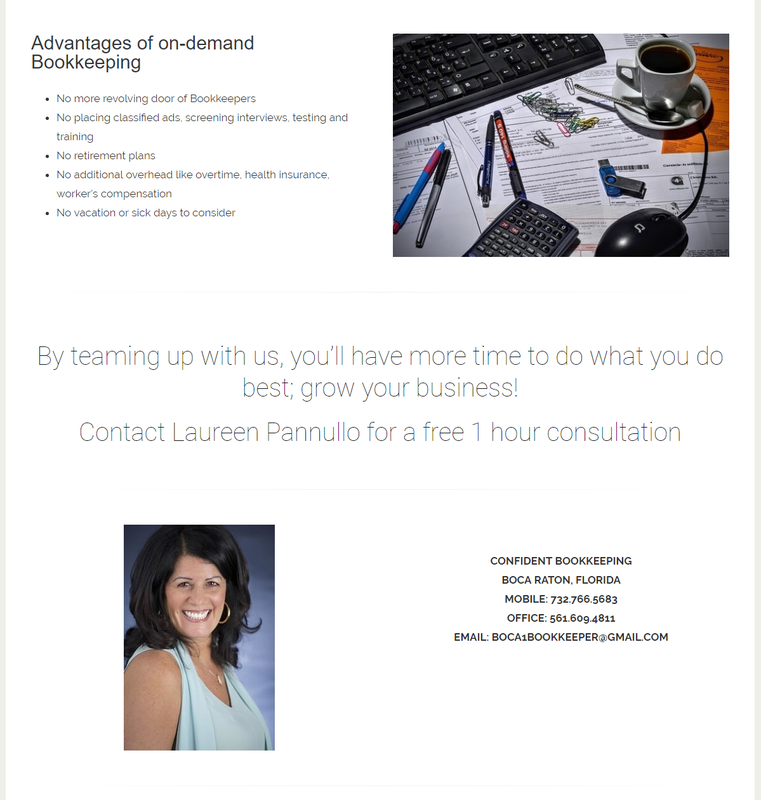 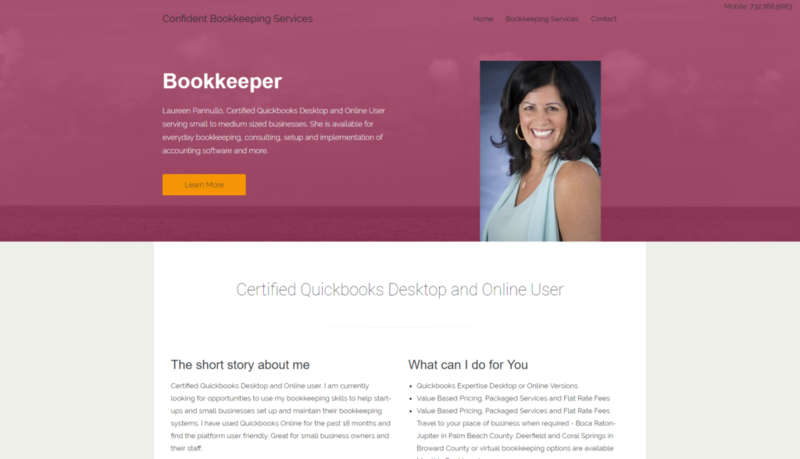 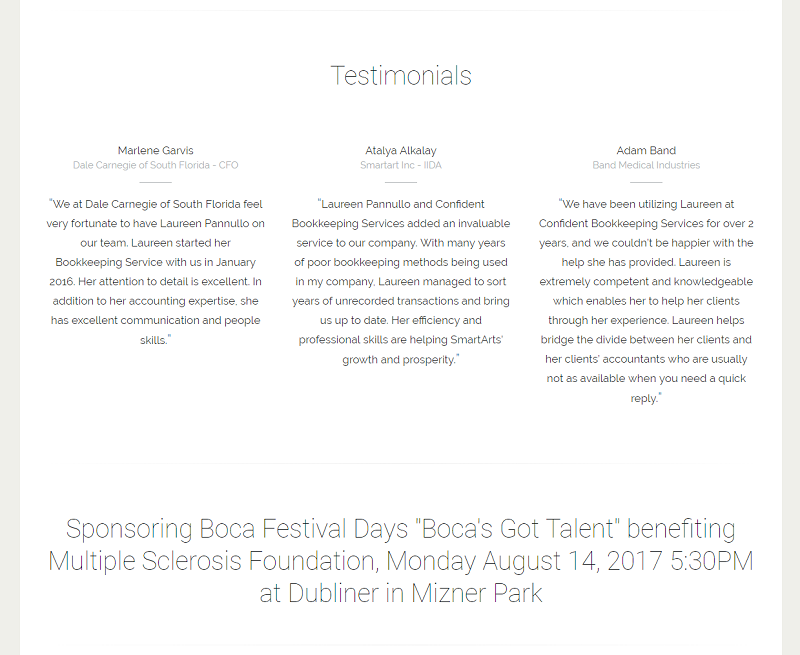 www.confidentbookkeepingservices.com Laureen Pannullo is a certified Quickbooks Desktop and Online user and offers bookkeeping services to small and medium businesses in the Boca Raton, Florida area. 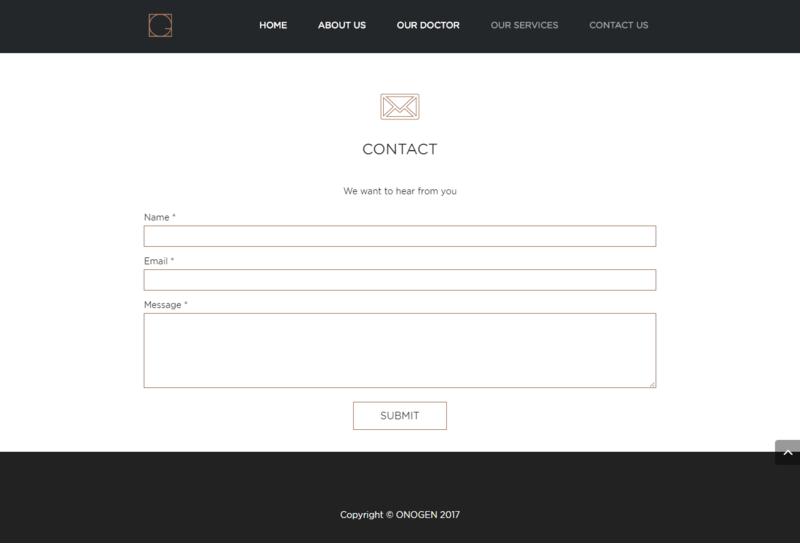 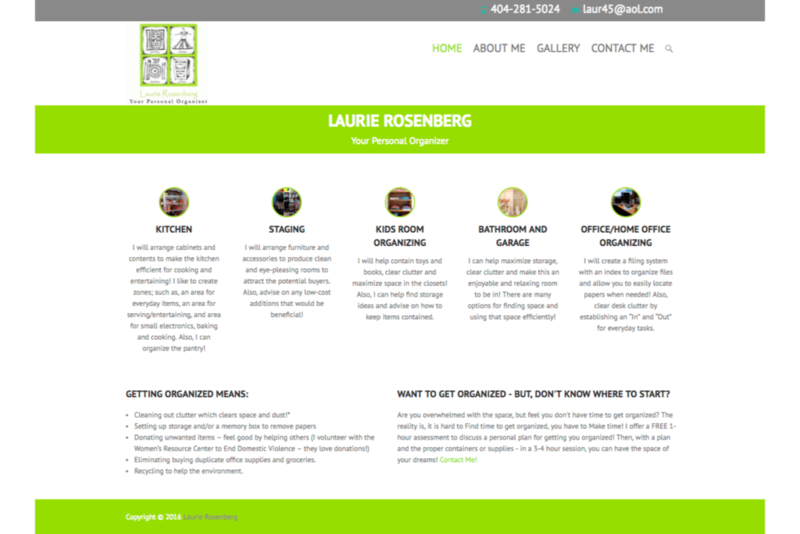 She recently started print marketing campaigns and needed a quick and simple one page bio website to show her services and contact information. 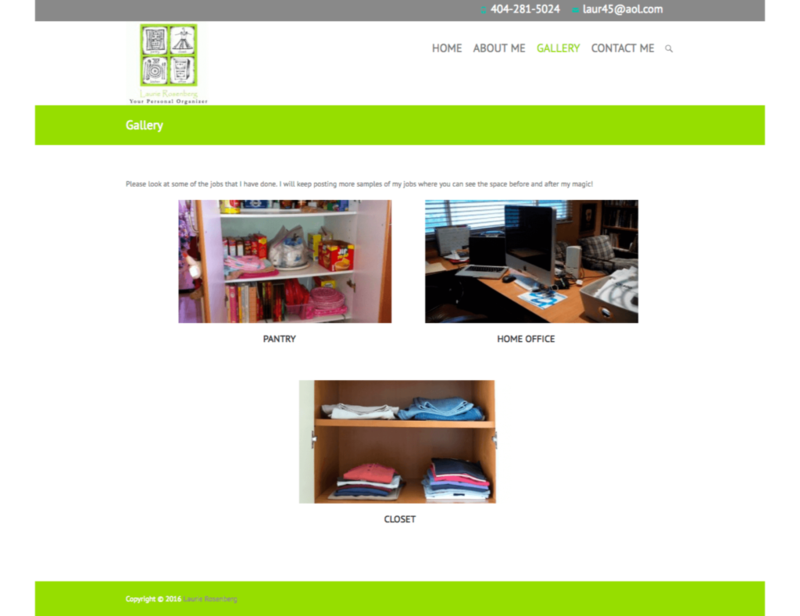 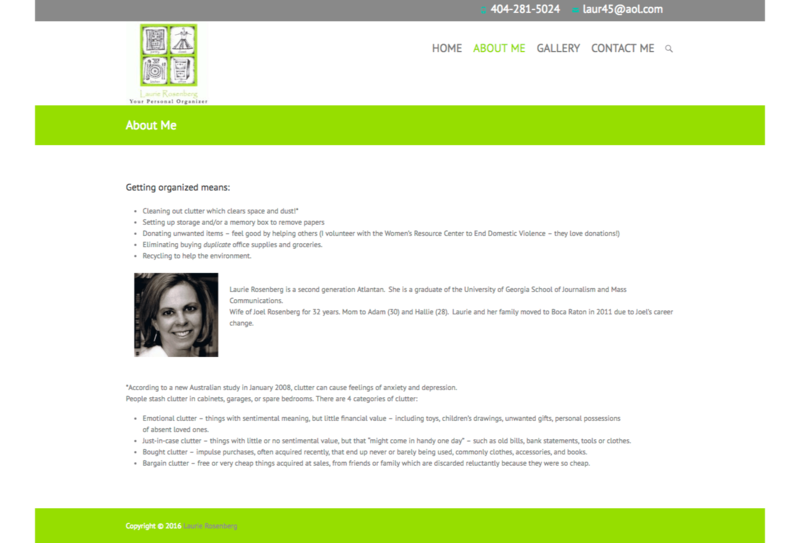 NearSource helped create this one page website for her and set up her web hosting as well. 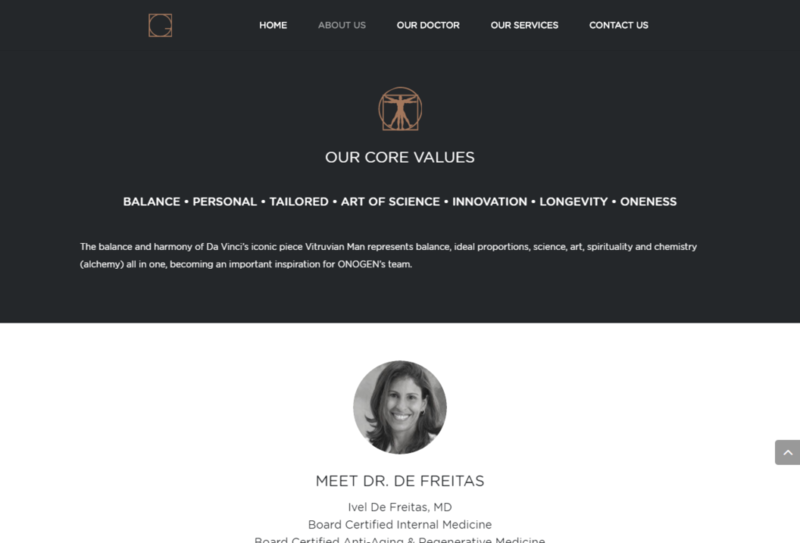 www.onogen.com Dr. De Freitas has dedicated her professional life to the advancement of the highest levels of personalized regenerative and preventative medical services, offering cutting edge diagnostics, genetic testing and profiling. 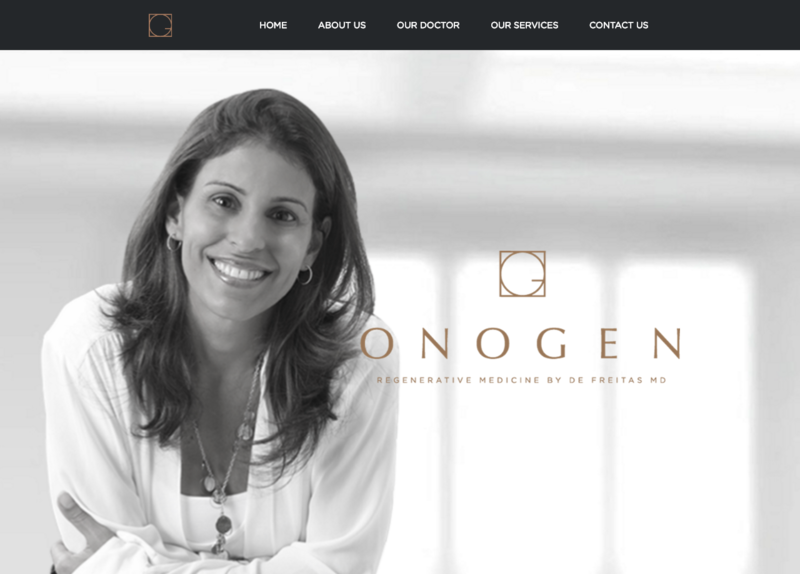 She launched Onogen that offers therapeutic plans are then optimized to meet individual needs – from wellness enhancement to treatment of chronic diseases to anti aging. 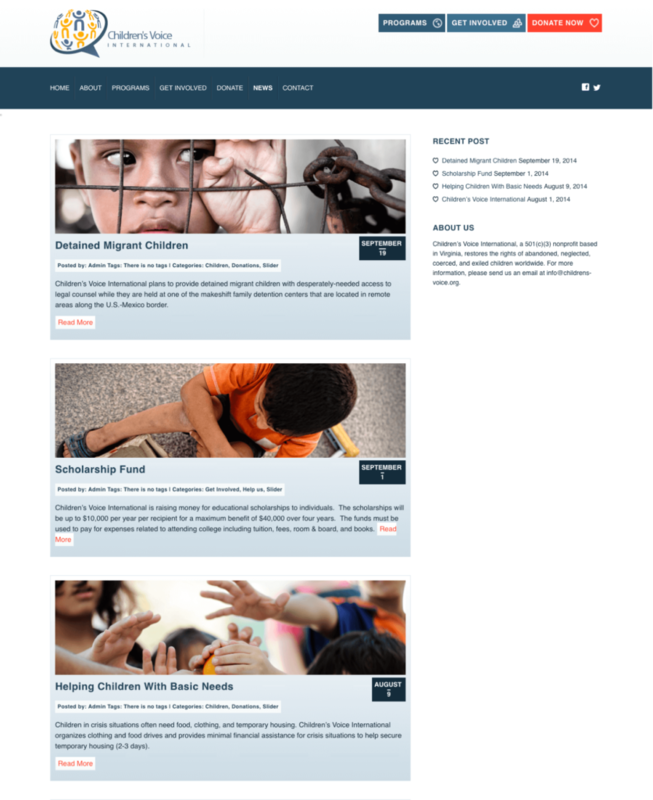 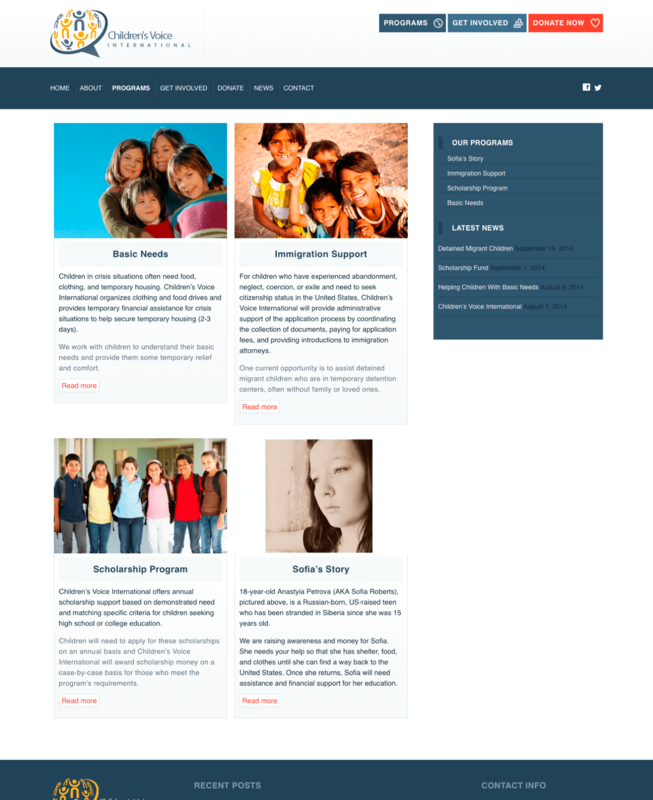 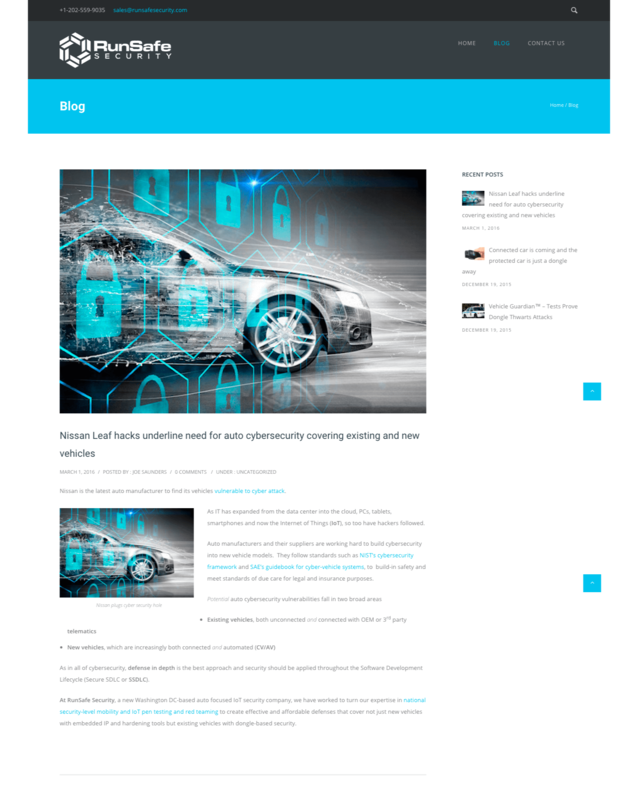 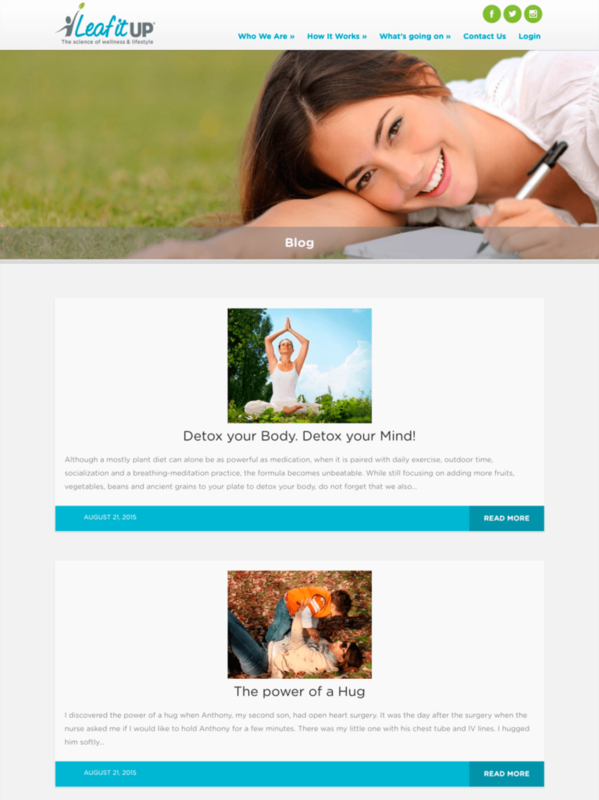 This is a one page WordPress website. 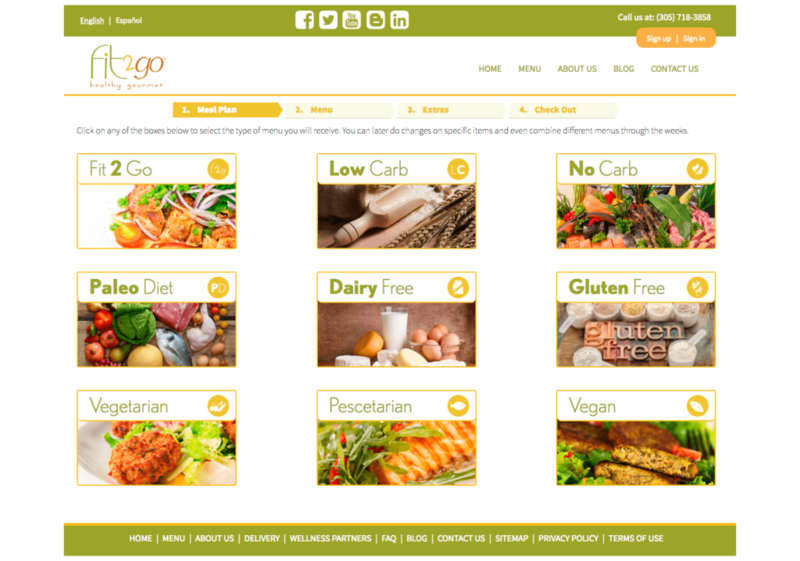 www.ipstogo.com. 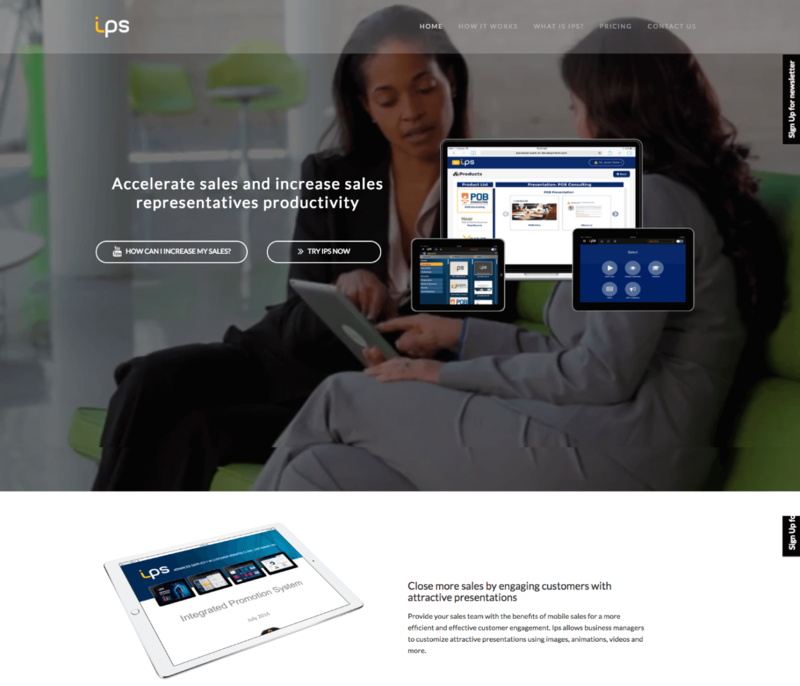 IPS is new startup that developed an iPad and web app to accelerate sales and help sales team with their presentations. 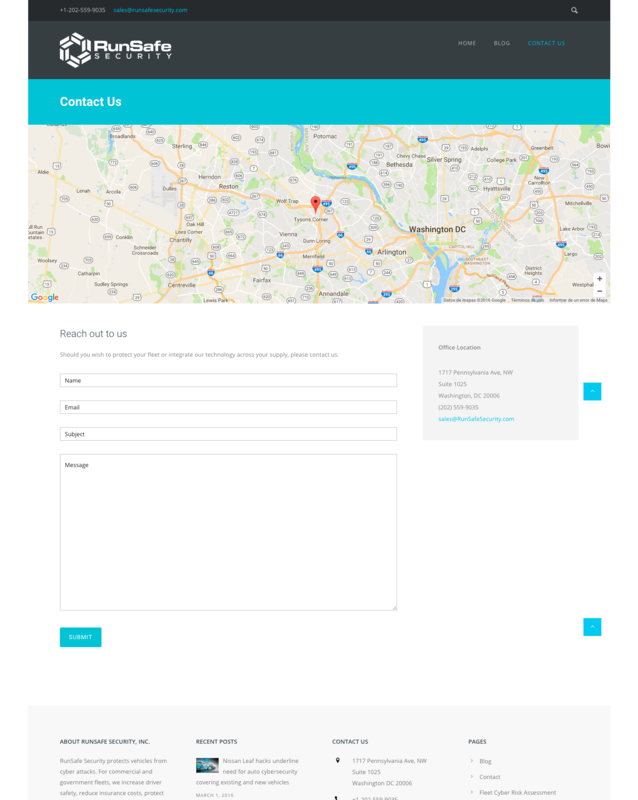 This one page WordPress website is optimized for promoting mobile apps and allows people to sign up for the beta test. In the near future it will allow customers to sign up online as paying users. 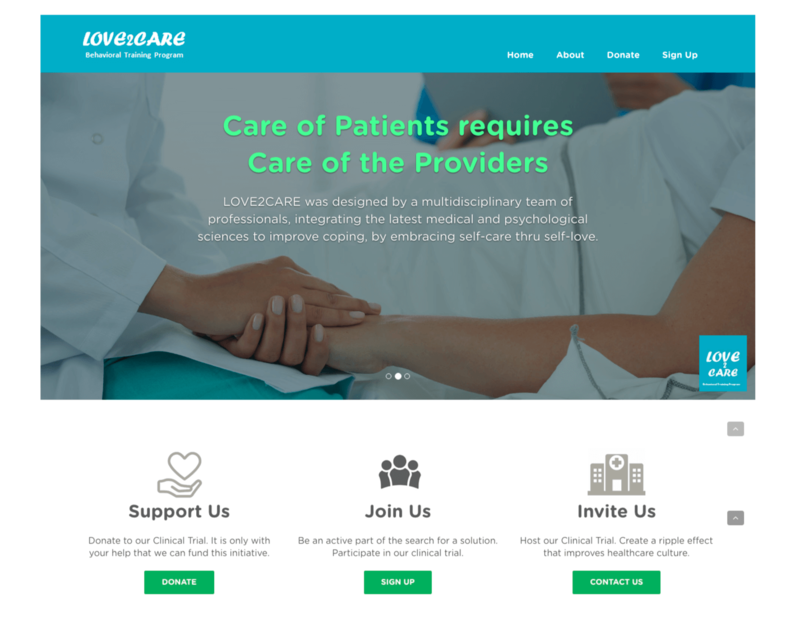 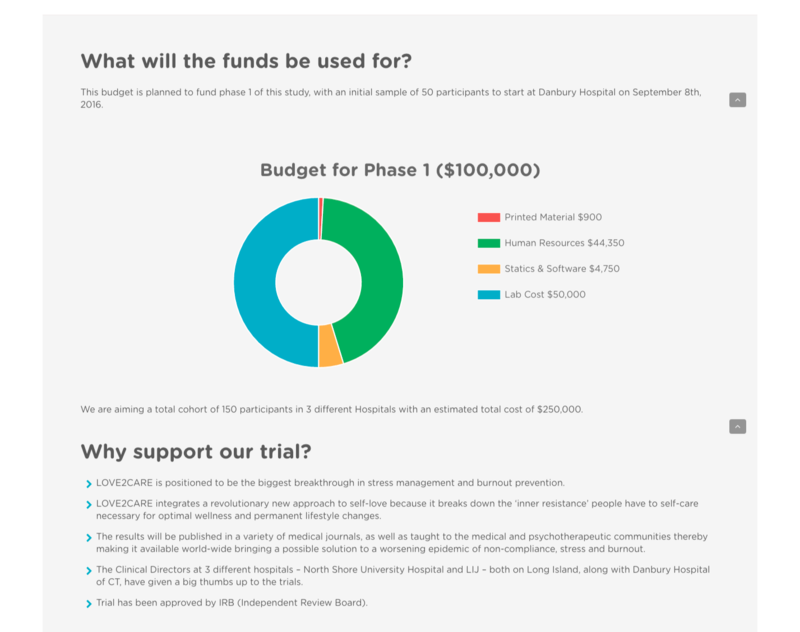 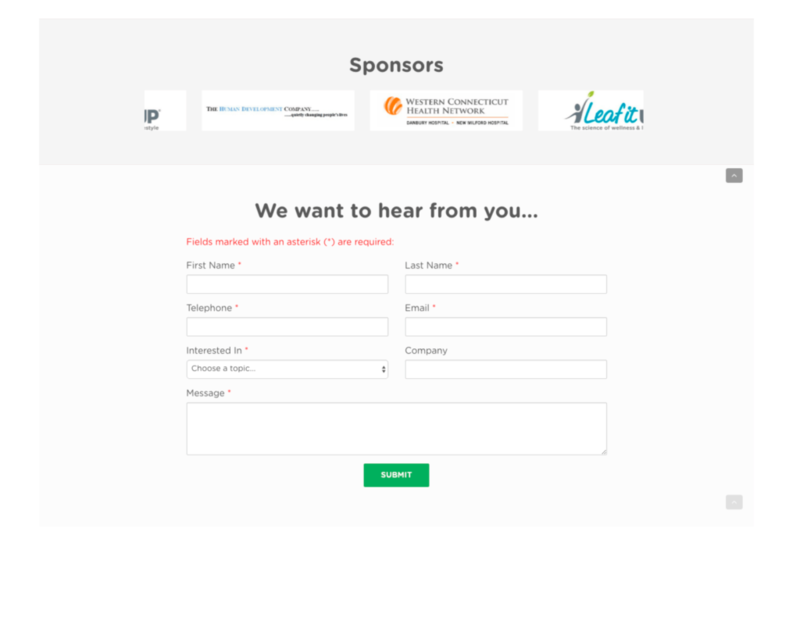 www.love2caretrial.com Landing page website for a clinical trial targeted to prevent healthcare provider burnout via general wellness programs. 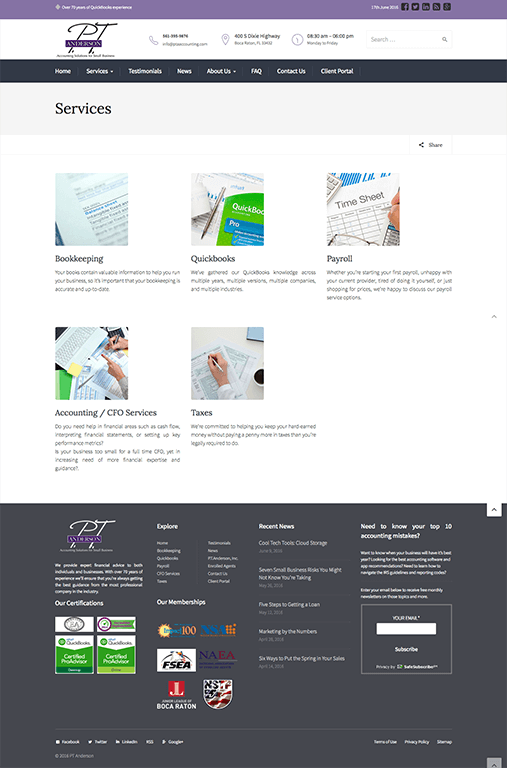 www.ptaaccounting.com is a website developed for PTA Accounting. 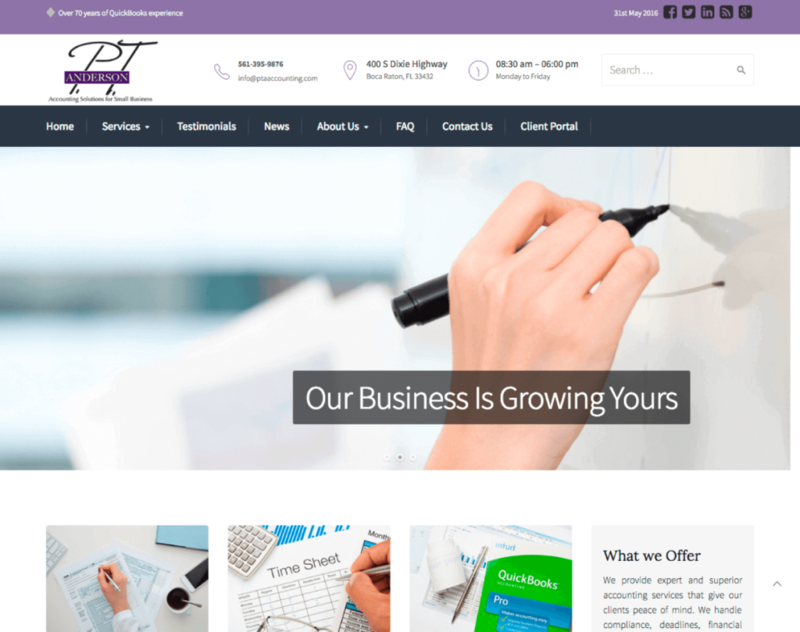 They are a boutique accounting firm specialized in providing services such as taxes, bookkeeping, and payroll for small businesses. 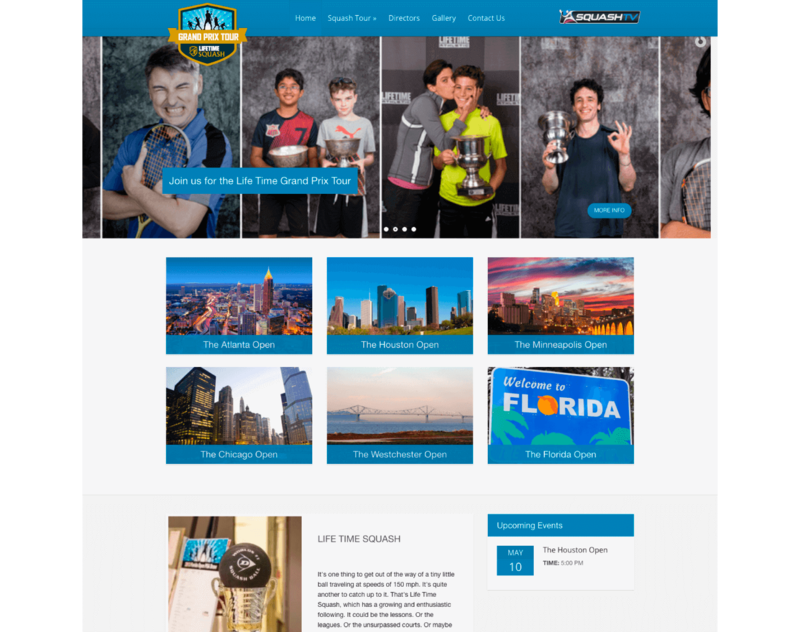 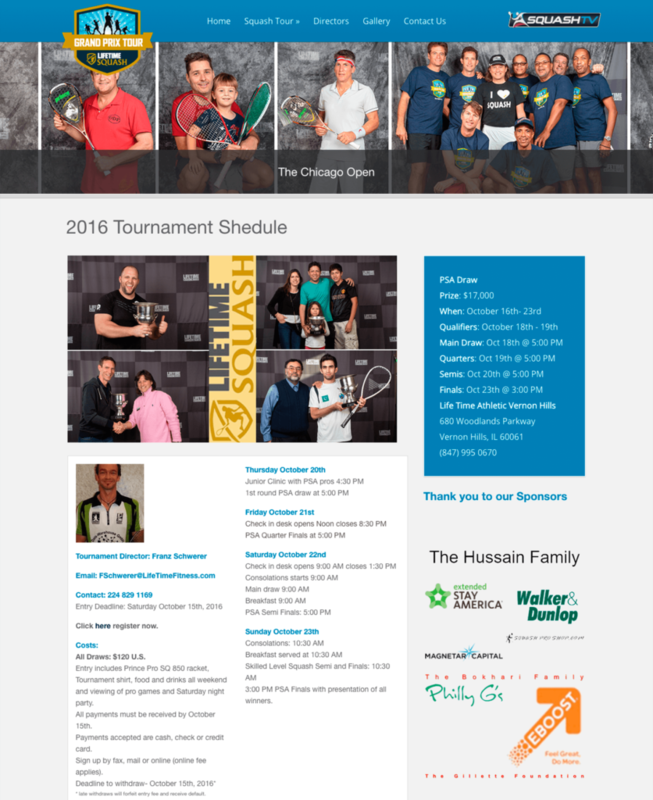 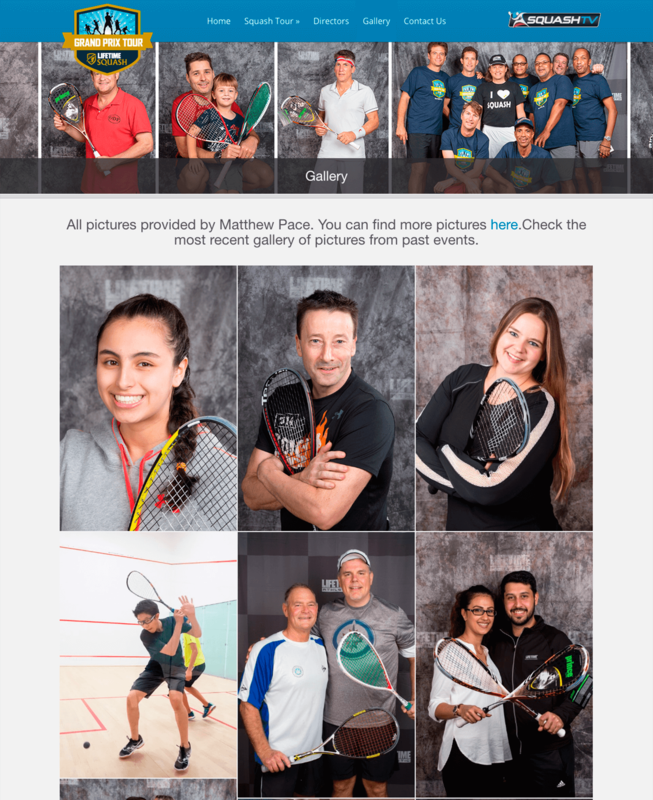 www.lifetimesquashtour.com is a website developed for the Lifetime Squash Grand Prix Tour that was founded by Andre Maur, a former professional squash player. 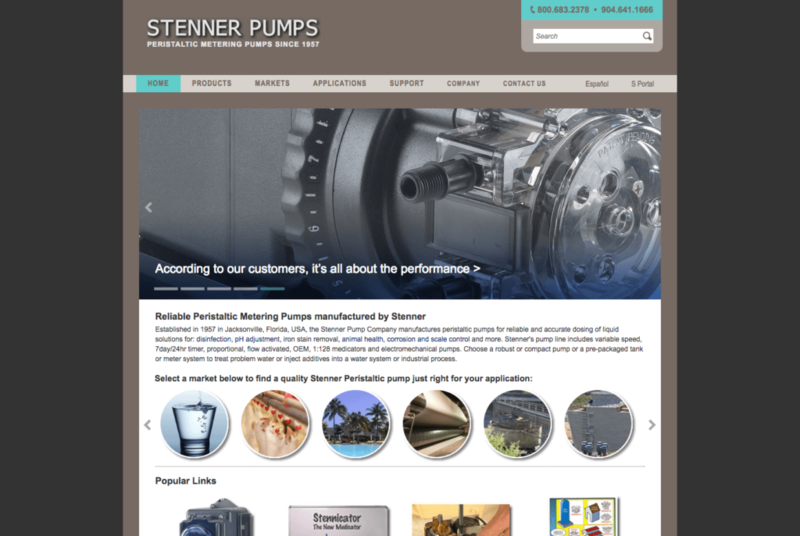 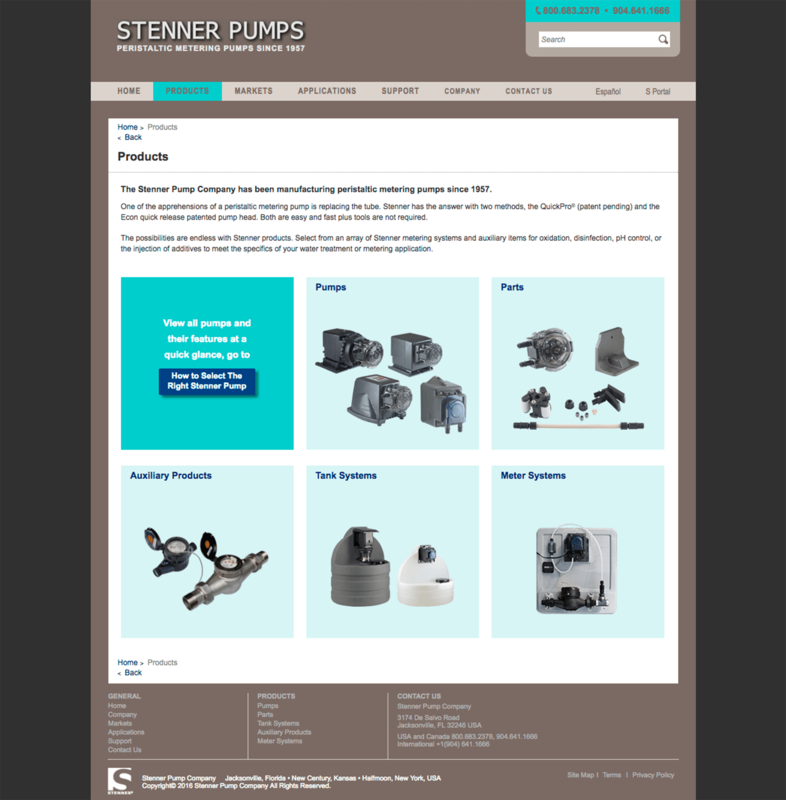 www.stenner.com is a website developed for the Stenner Pump Company, a manufacturer of peristaltic pumps for reliable and accurate dosing of liquid solutions for: disinfection, pH adjustment, iron stain removal, animal health, corrosion and scale control and more. 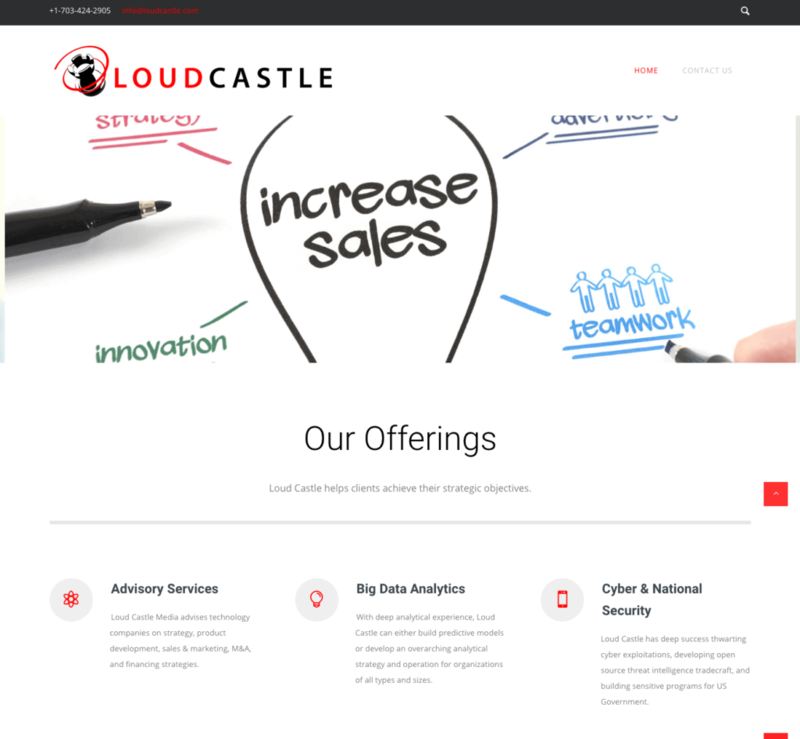 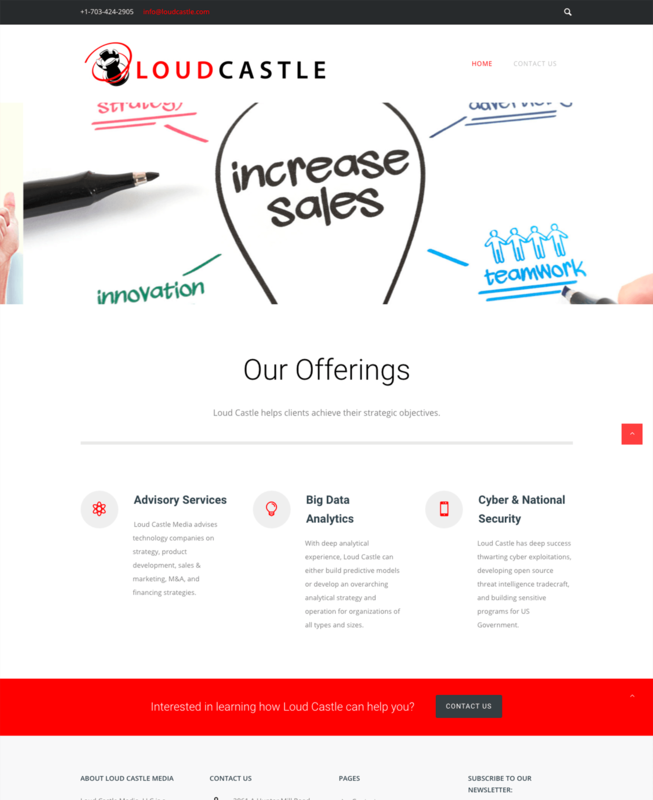 www.loudcastle.com is a website developed for Loud Castle Media, a boutique advisory firm that focuses on helping technology start ups with their most strategic and sensitive programs. 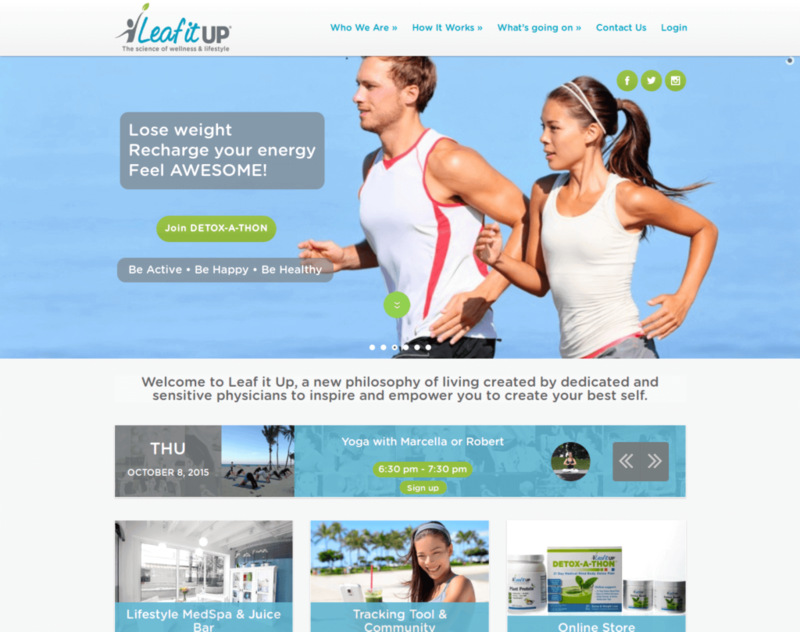 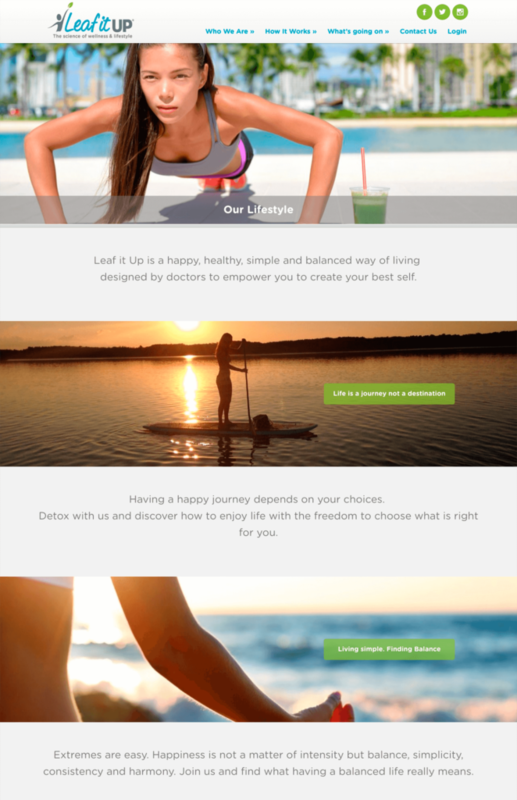 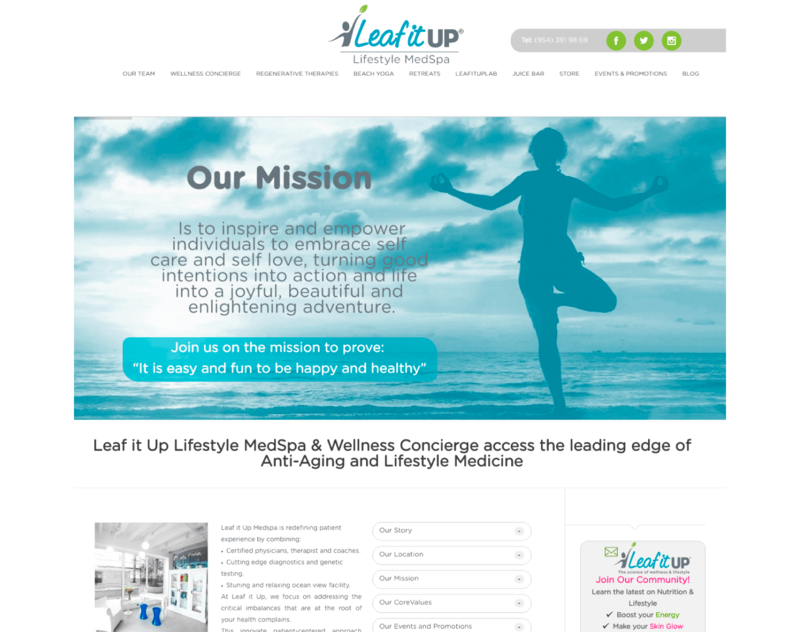 www.leafitupmedspa.com is a website developed for the Leaf If Up Lifestyle MedSpa located in Hollywood, Florida. 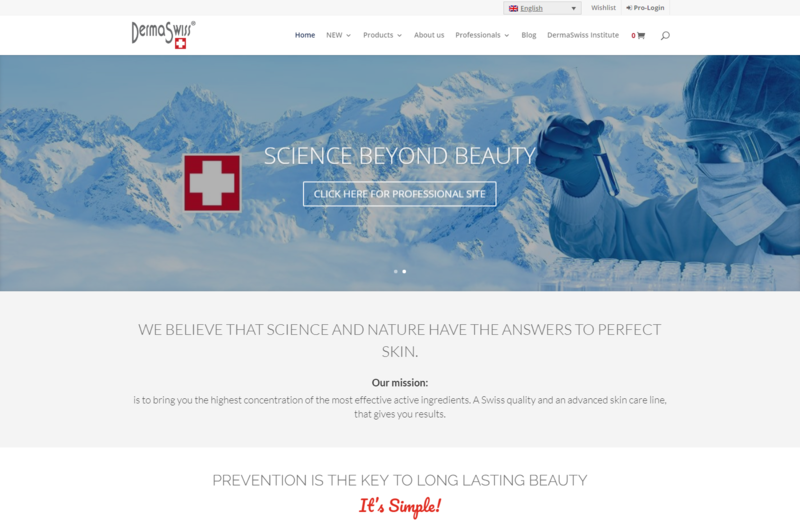 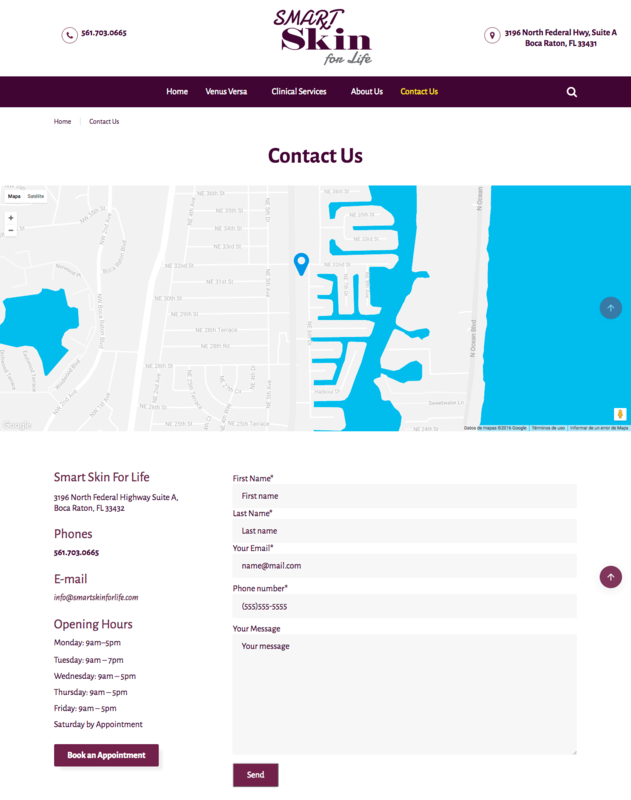 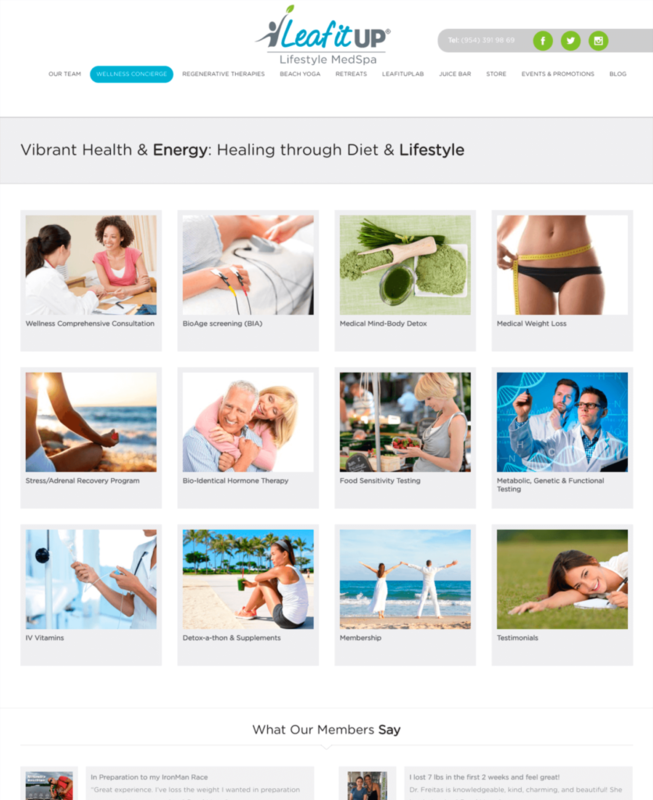 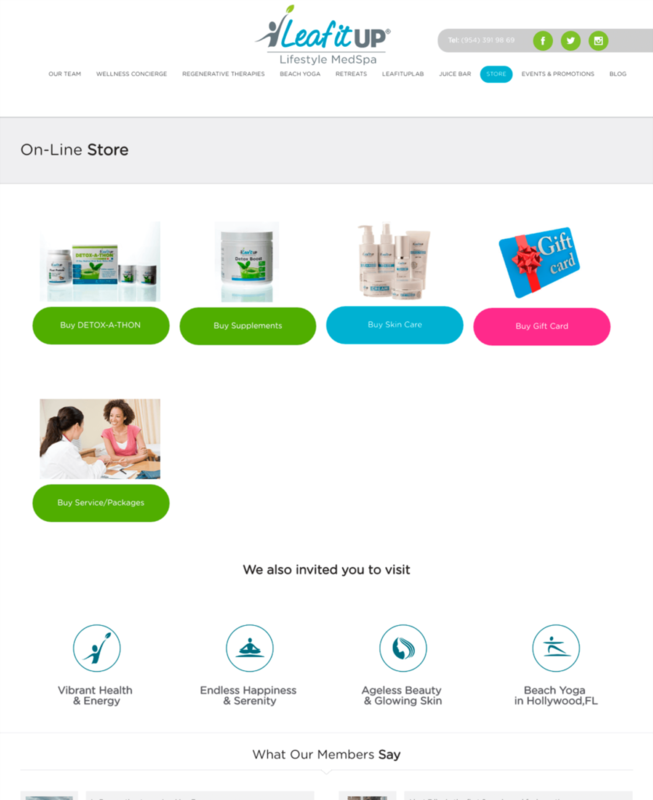 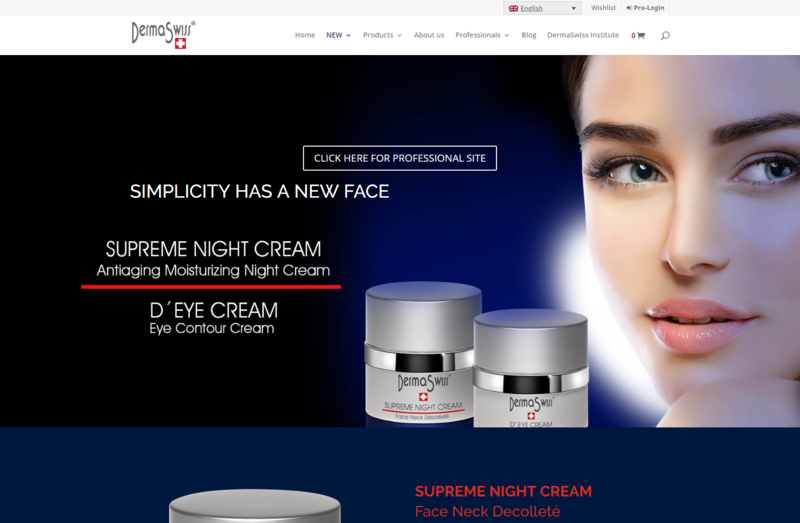 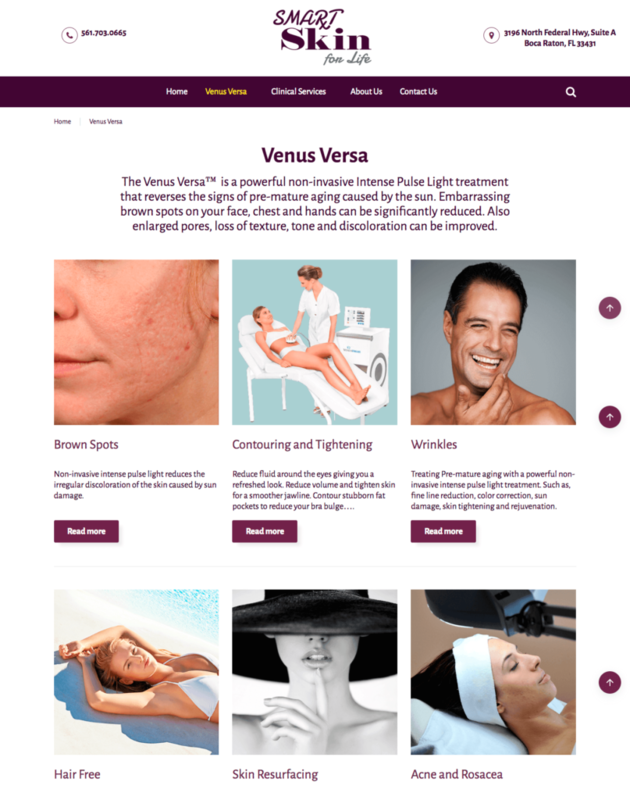 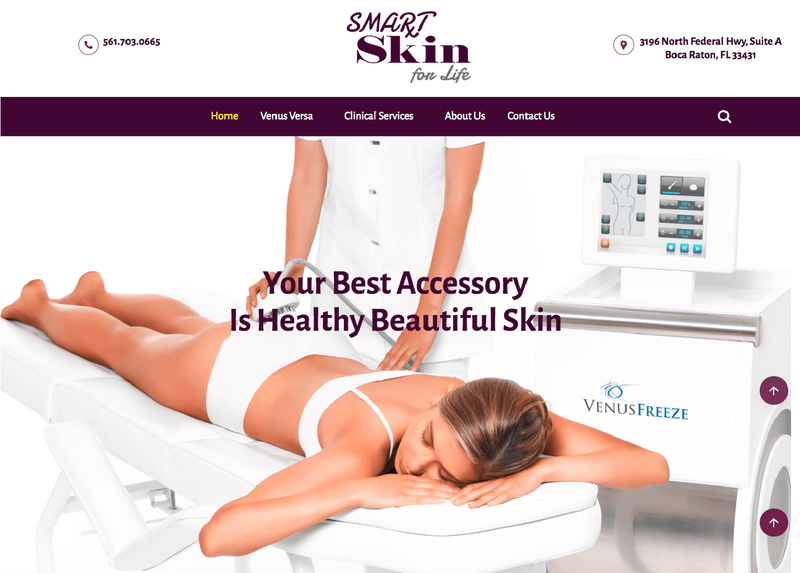 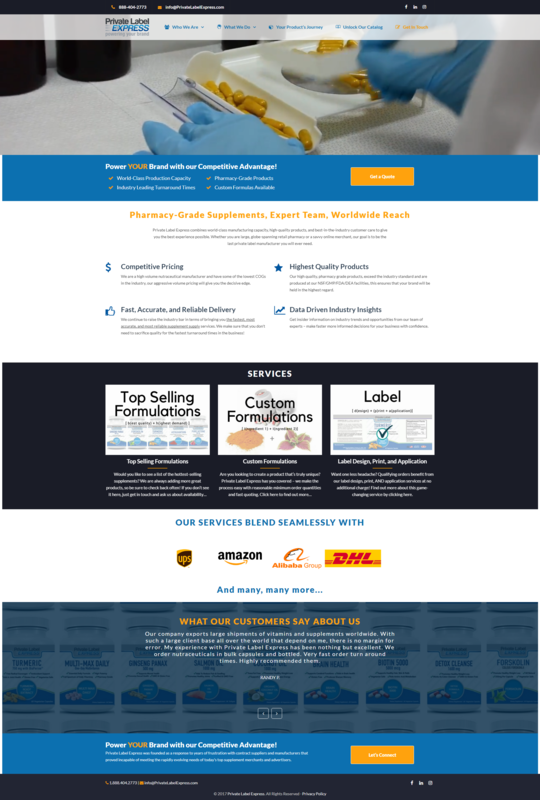 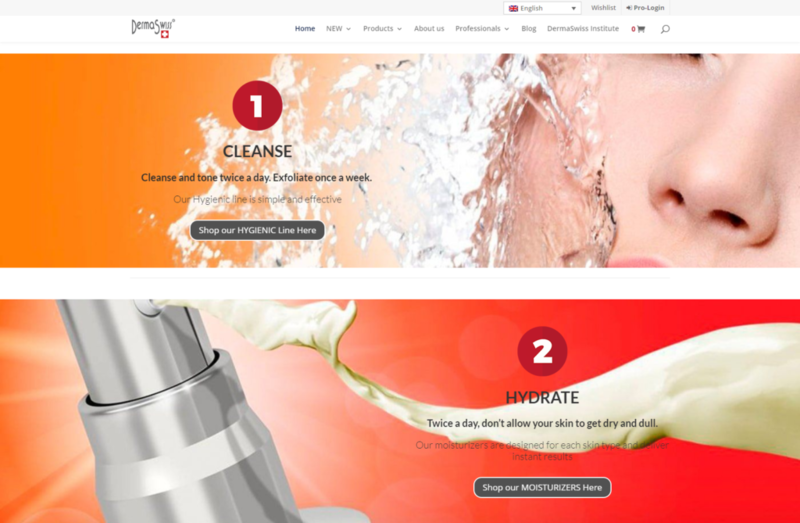 www.smartskinforlife.com is a WordPress Website that was developed by NearSource in less than 6 weeks. 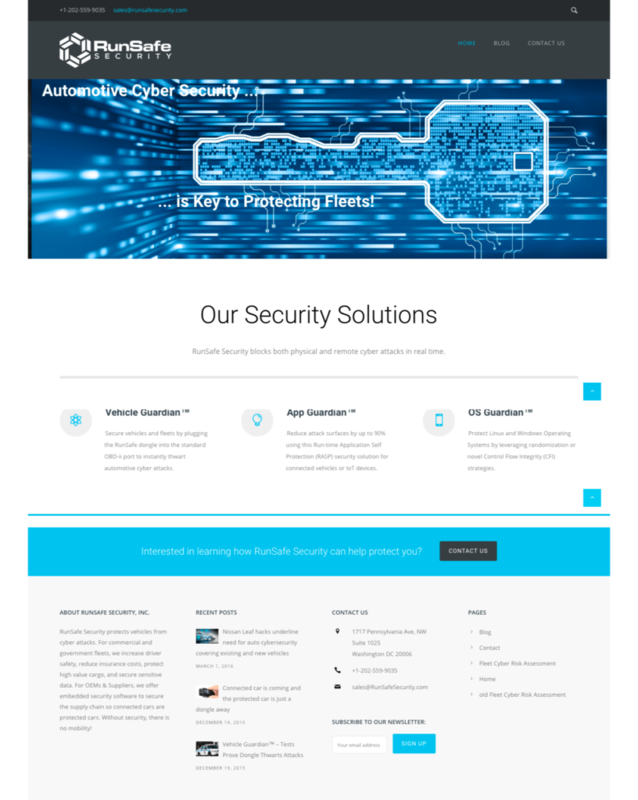 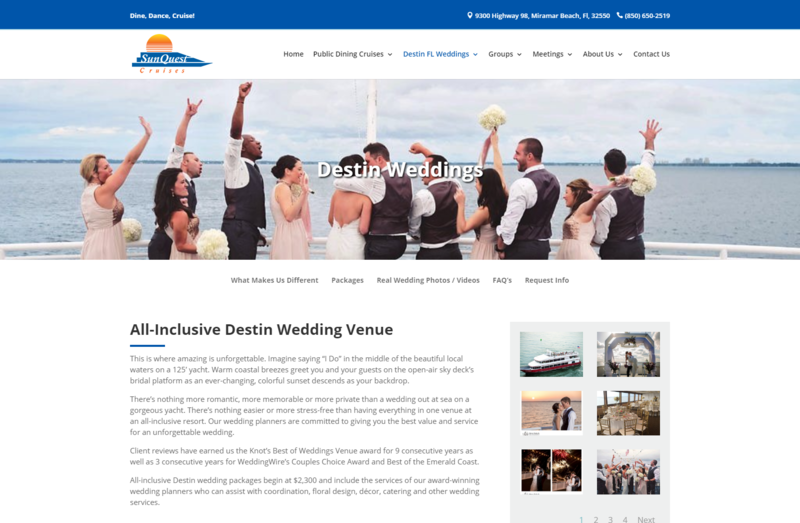 NearSource helped the client with theme selection, content layout, image selection and more to get the website done quickly. At Smart Skin for Life they offer a variety of aesthetic treatments lead by Rebecca Demicell, an experienced aesthetician with more than 1,600 hours of training and more than 13 years of experience in the skin care and cosmetic industry. 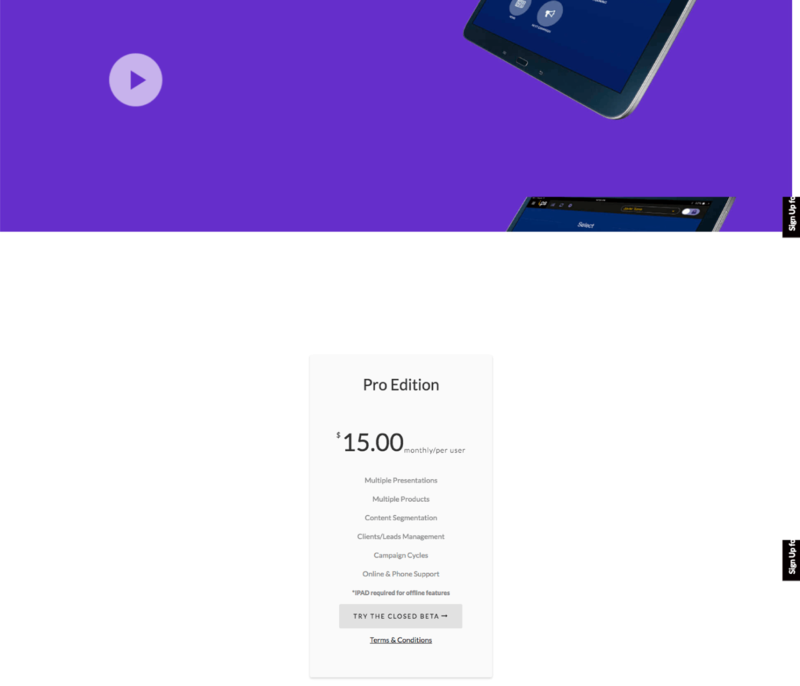 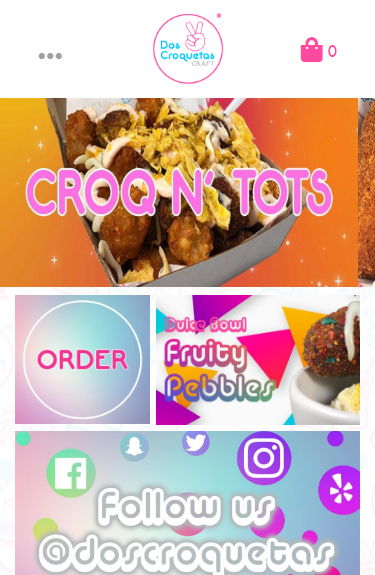 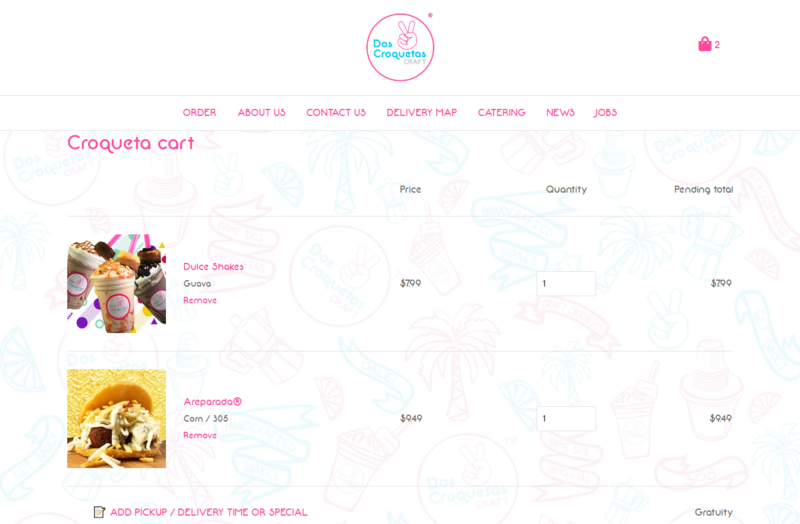 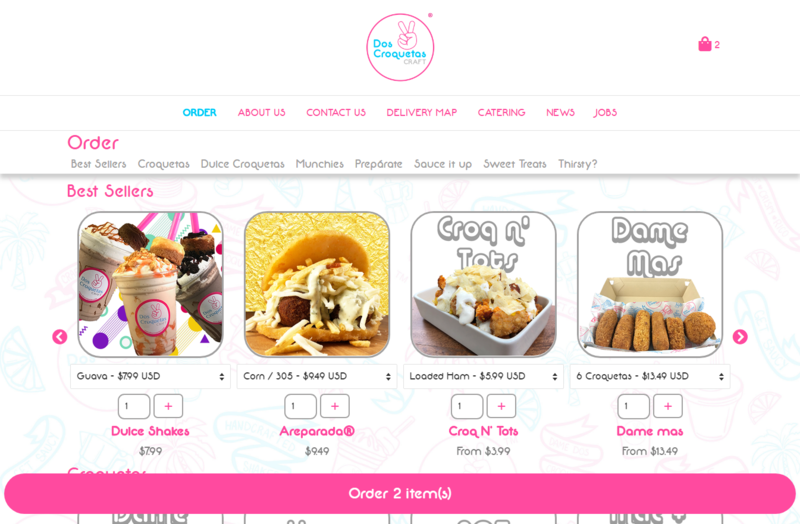 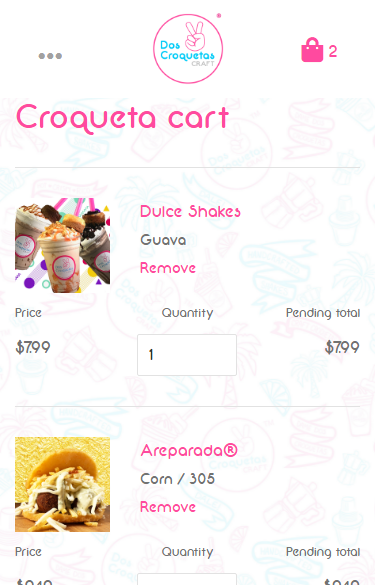 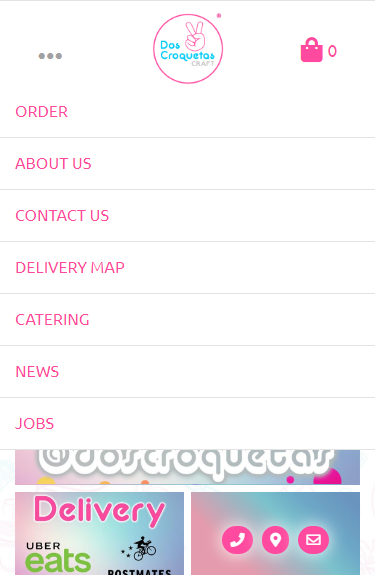 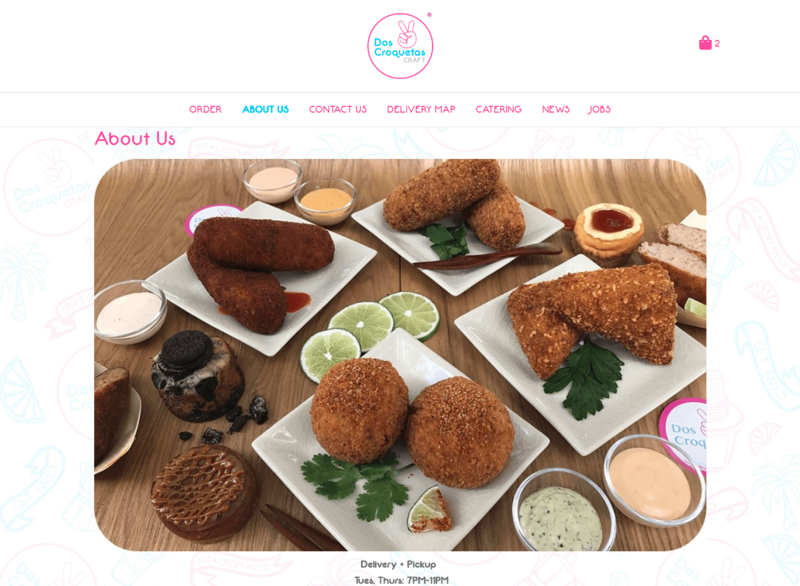 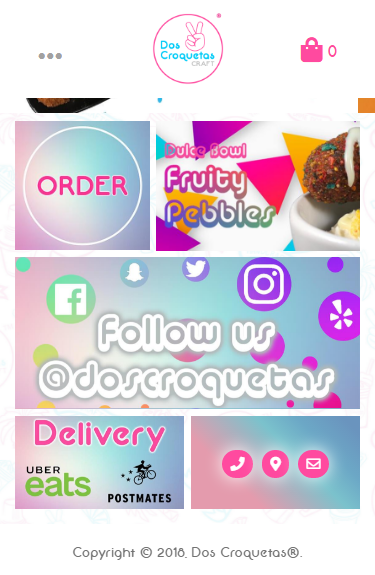 www.doscroquetas.com NearSource developed a custom mobile first Shopify skin for Dos Croquetas. 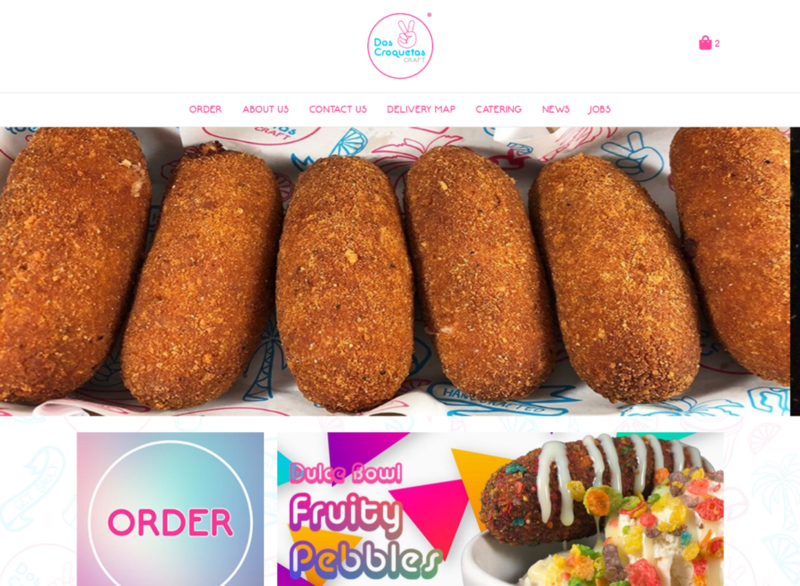 They are an artisanal craft croqueta company based in MIami. 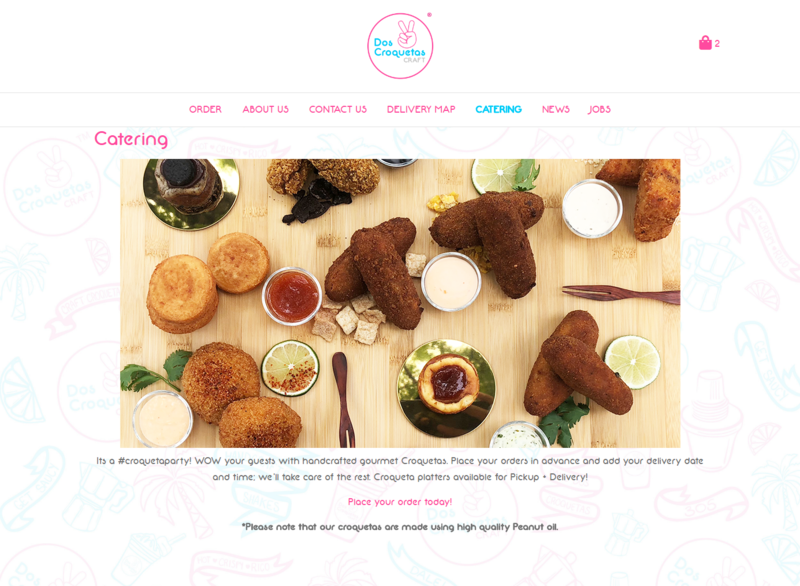 Each and every one of these croquetas is hand-crafted from scratch by their in-house Chefs. 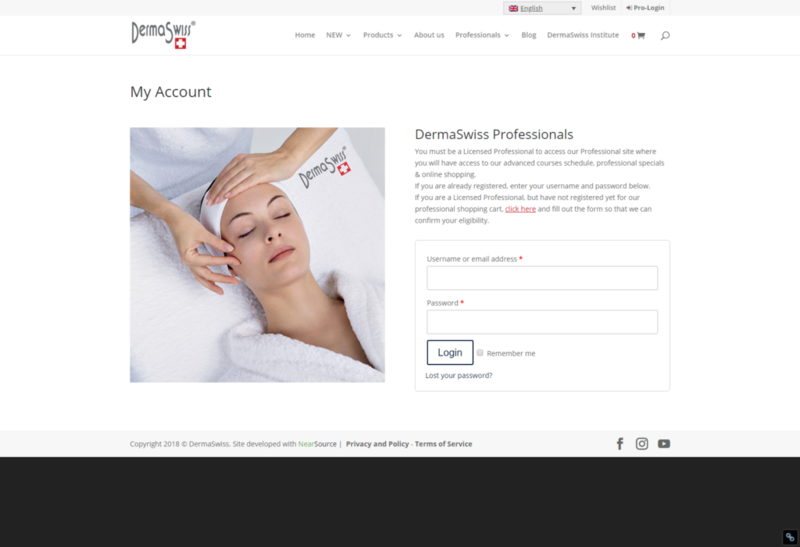 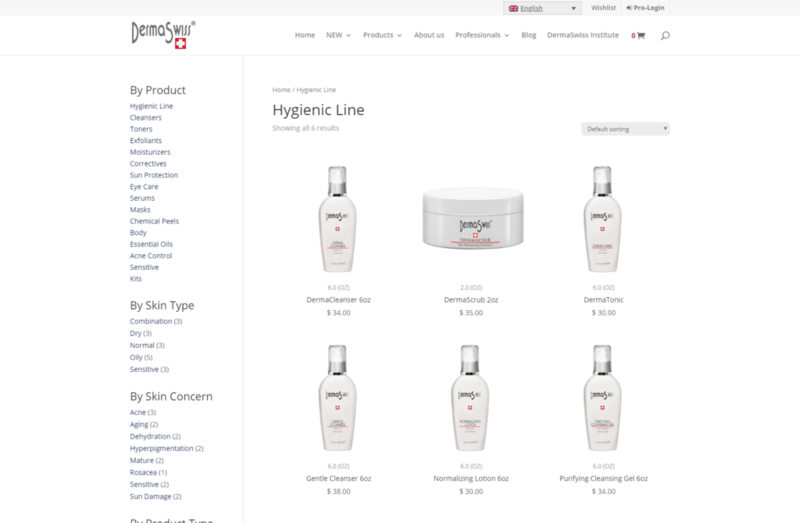 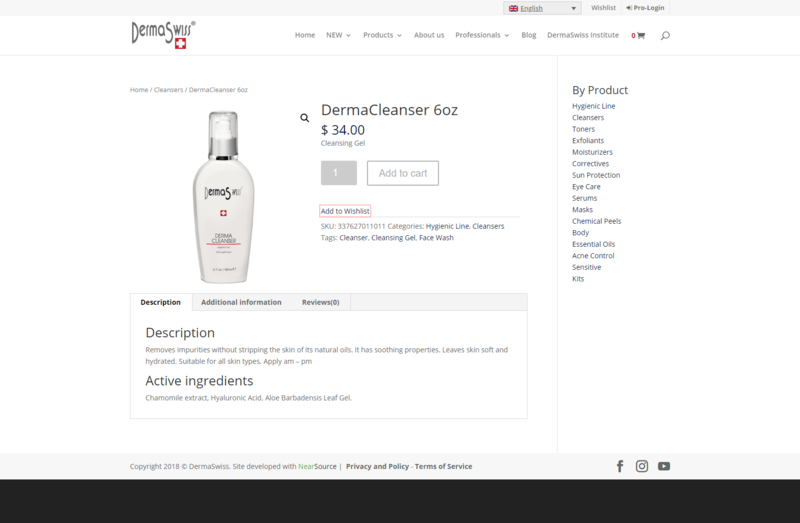 www.dermaswiss.com offers advanced skin care products using the highest concentration of the most effective ingredients. 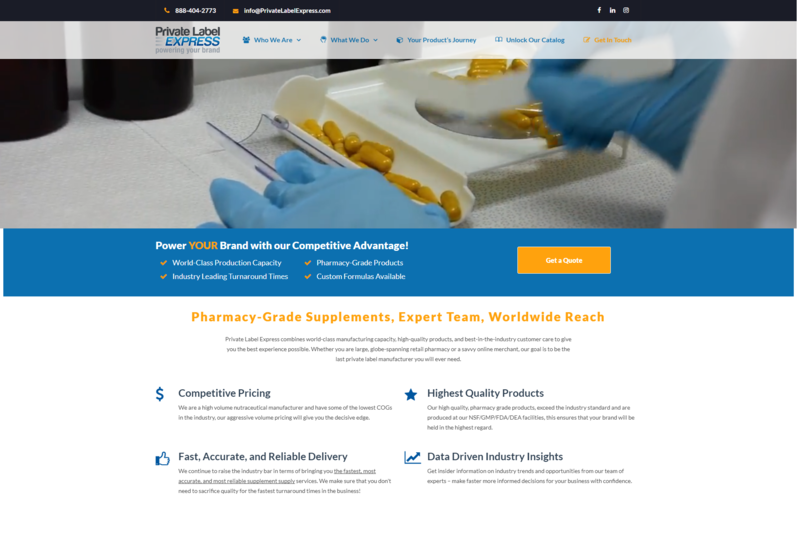 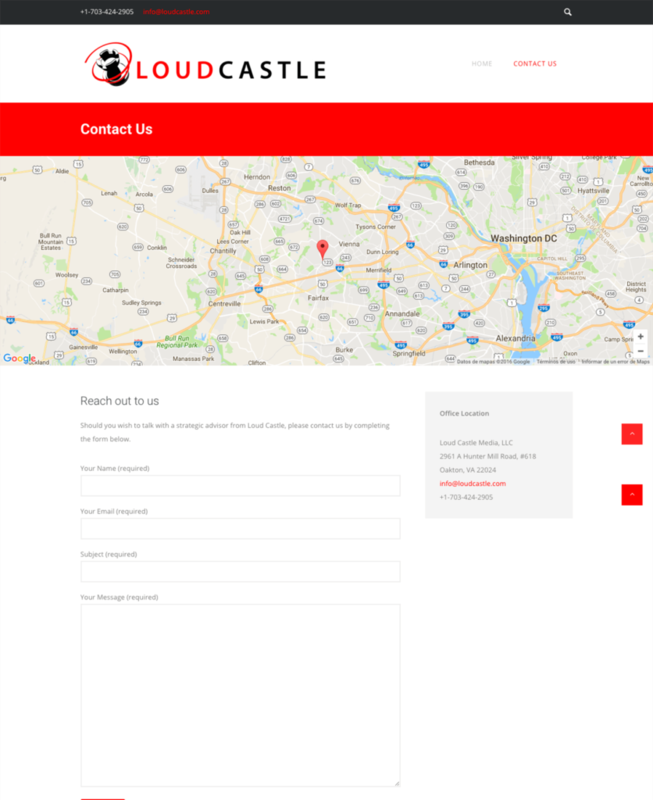 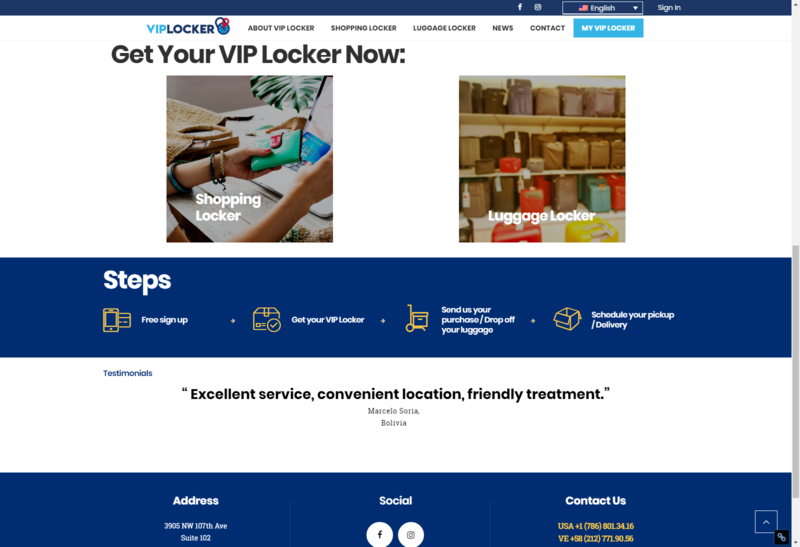 Their website was revamped by the NearSource Team, and a new instance of a WooCommerce shopping cart was implemented and customized for a better user experience. 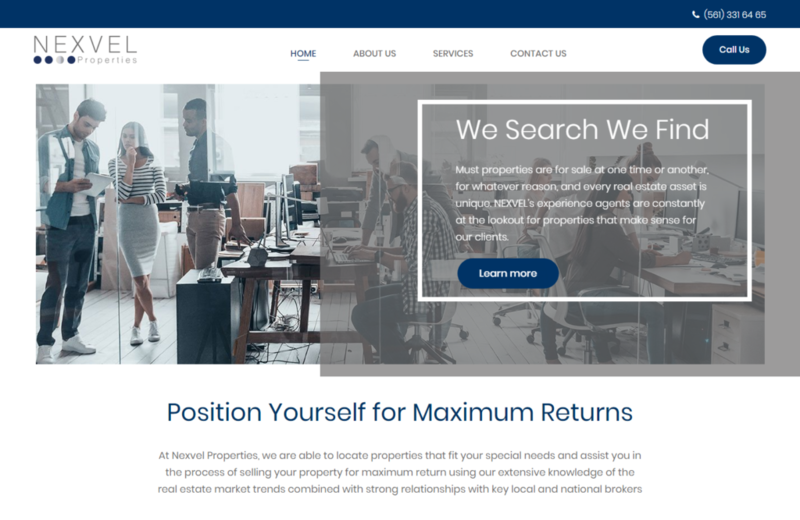 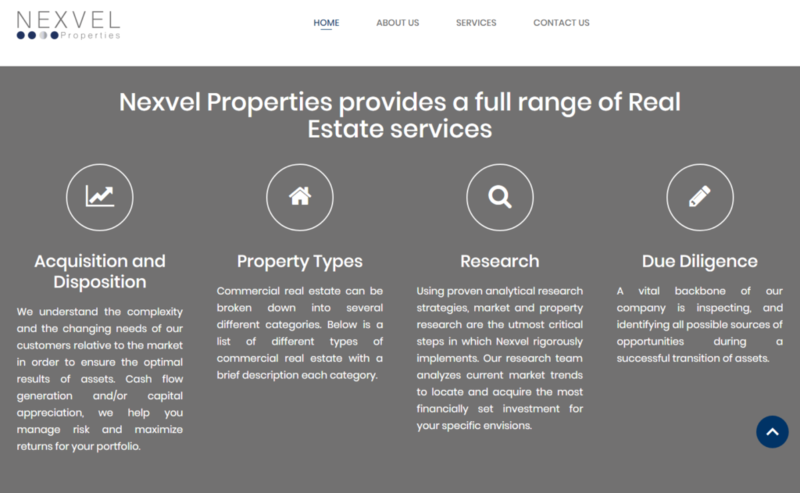 A separate re-seller "professionals" portal was also configured. 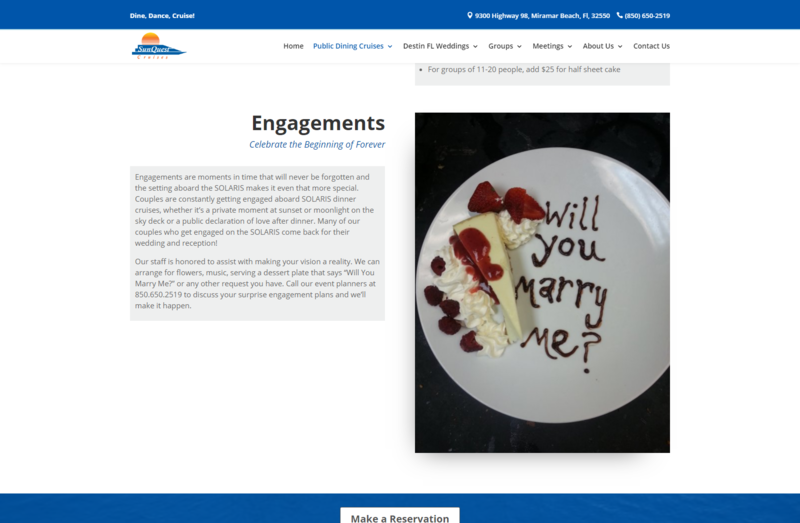 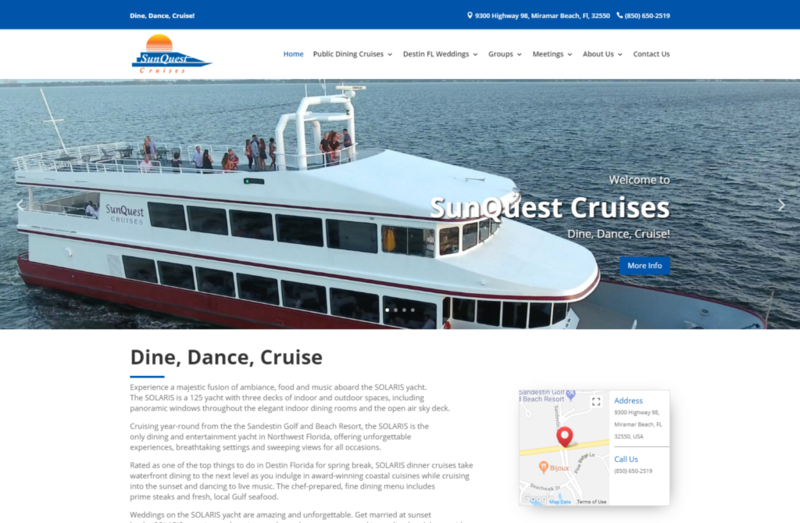 www.sunquestcruises.com offers fine dining day cruises and wedding planning services on the SOLARIS yacht. 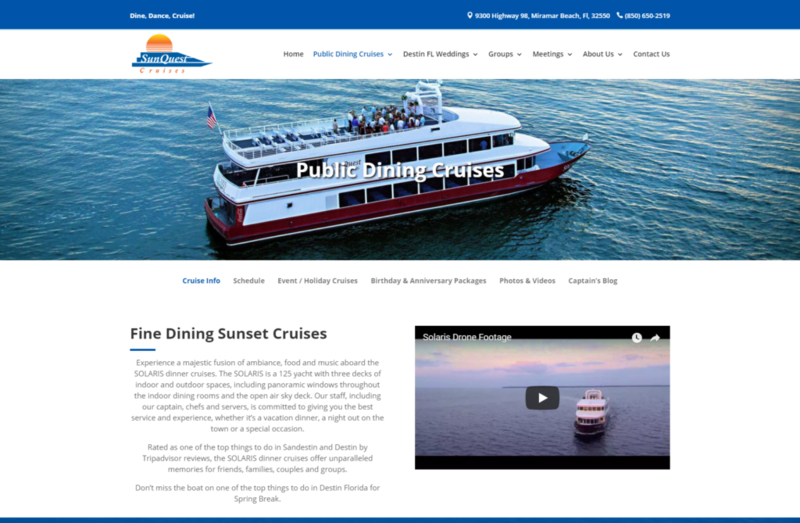 The SOLARIS is a 125 yacht with three decks of indoor and outdoor spaces, including panoramic windows throughout the elegant indoor dining rooms and the open air sky deck. 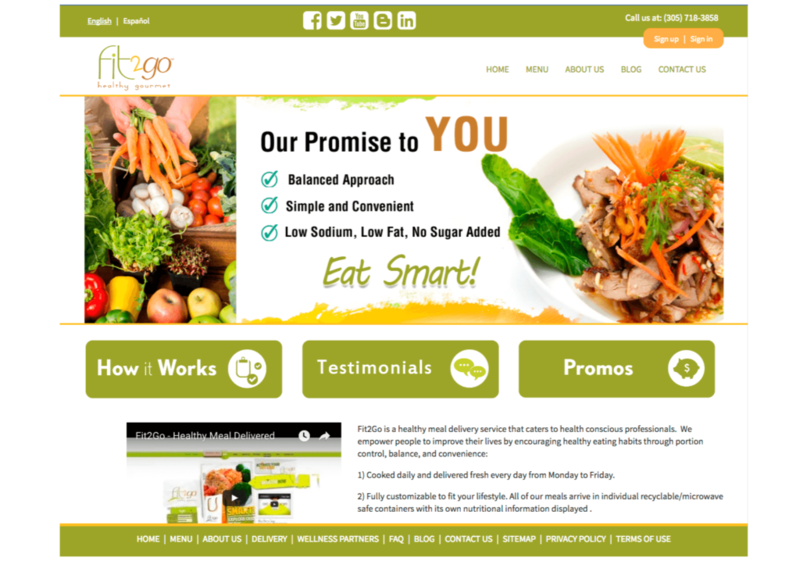 www.fit2gomeal.com provides healthy gourmet meals to customers in the South Florida area via their online e-commerce menu ordering platform. 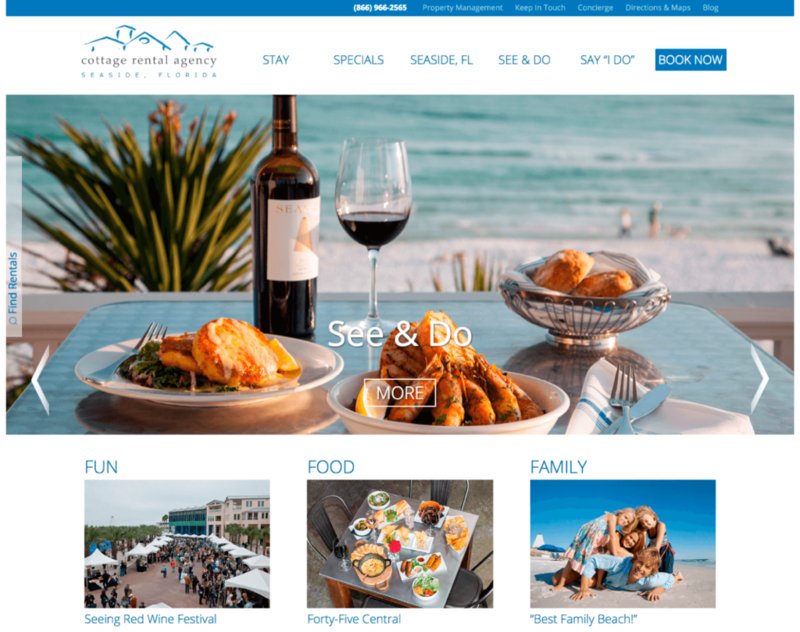 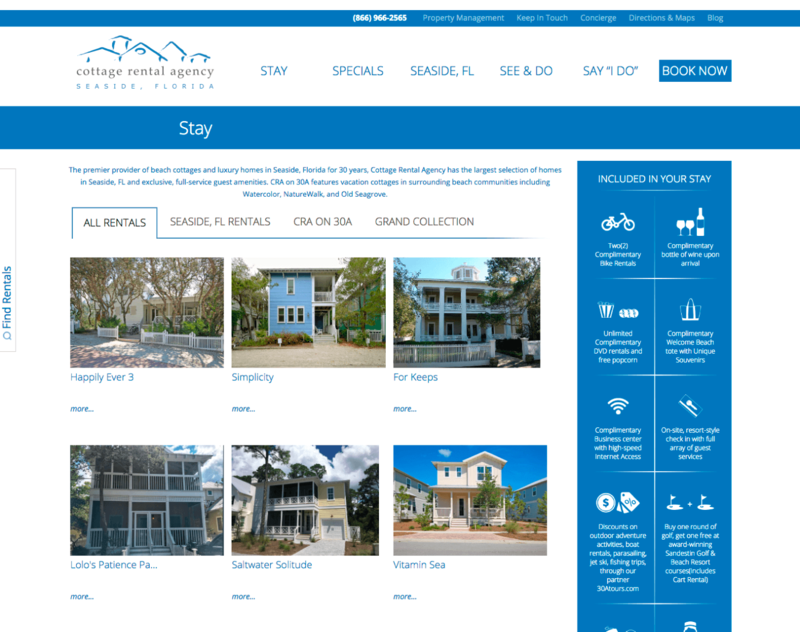 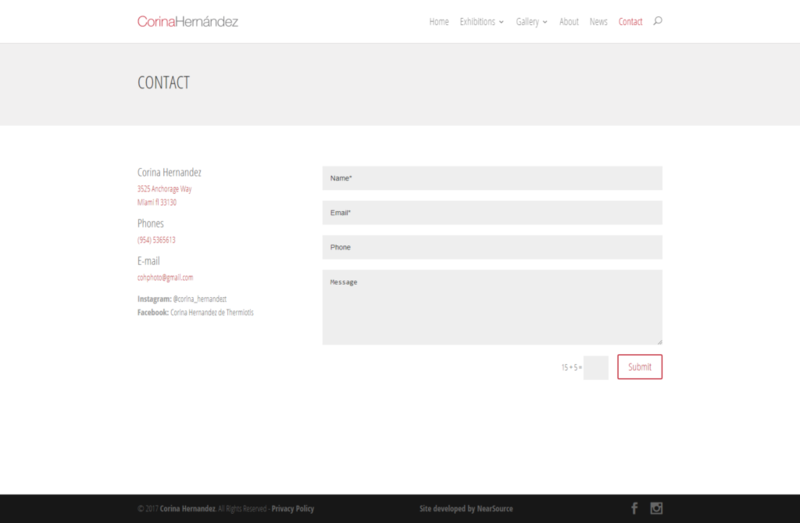 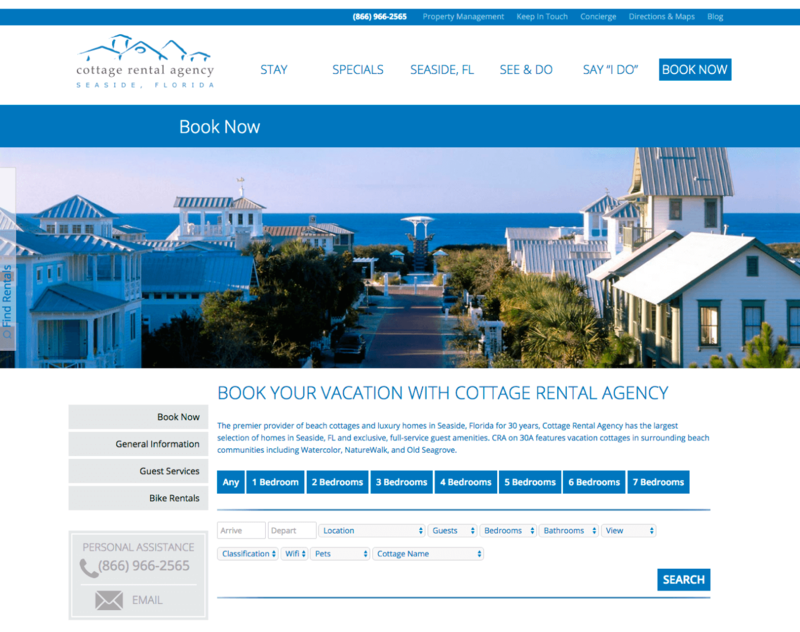 www.cottagerentalagency.com NearSource developed an online booking integration piece for their unique vacation rental system to improve user experience for rental search and booking. 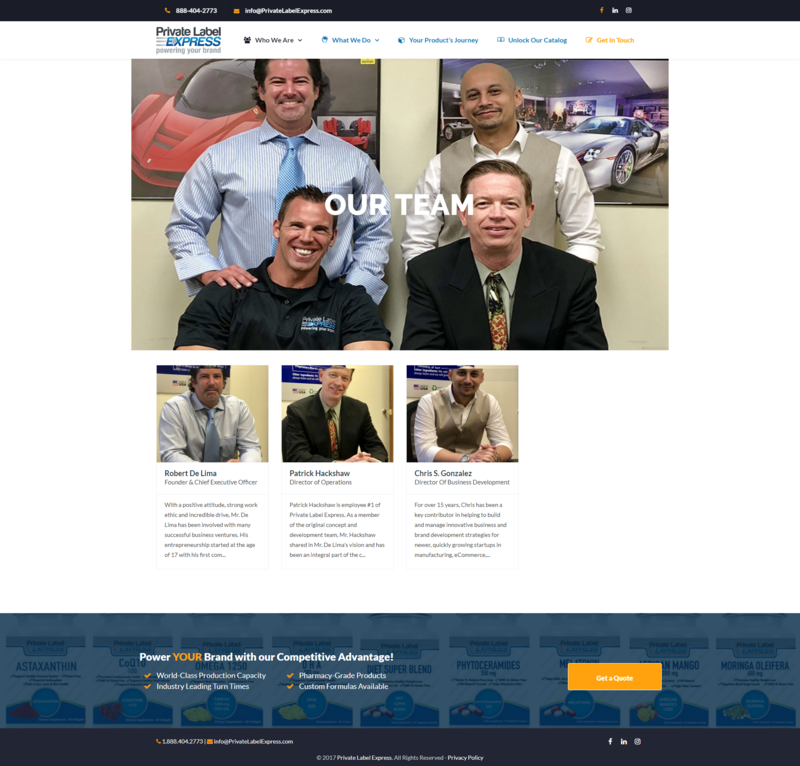 NearSource also assists with website content updates and general support. 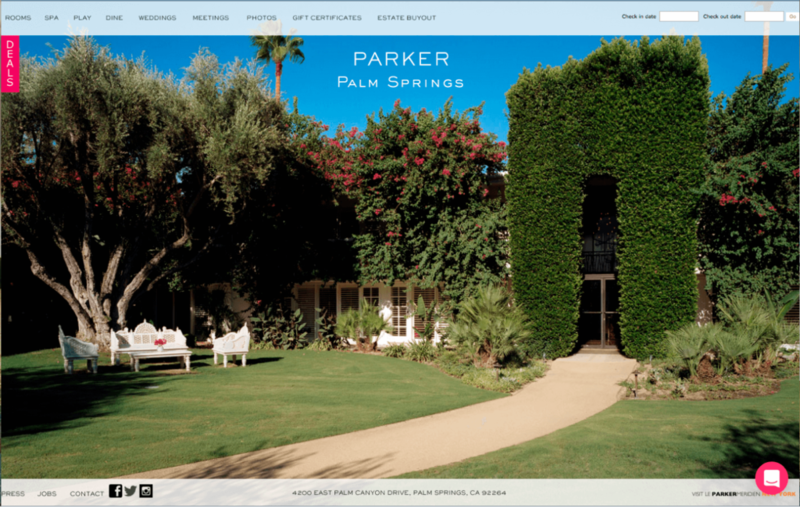 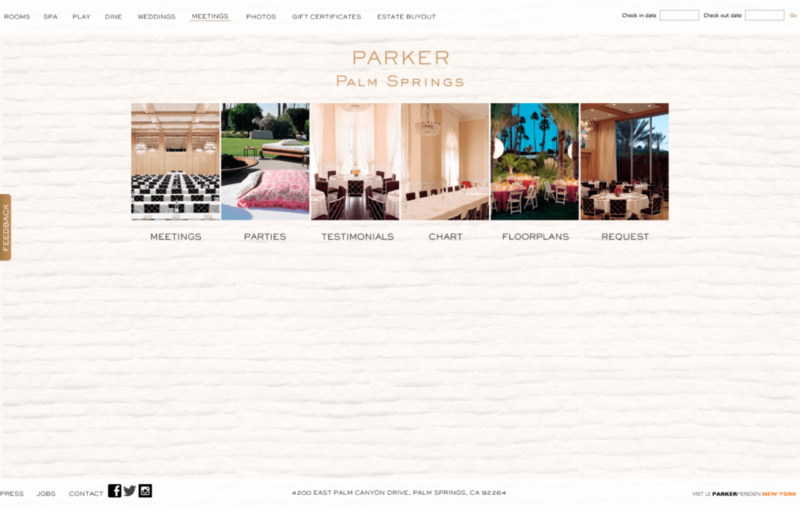 www.theparkerpalmsprings.com NearSource assists the Parker Palm Spring Hotel with their website maintenance needs such as content updates, code debugging and general support. 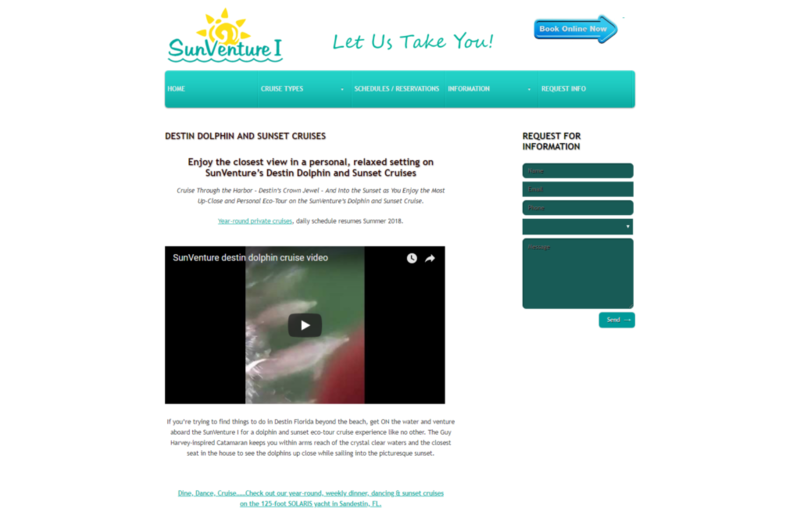 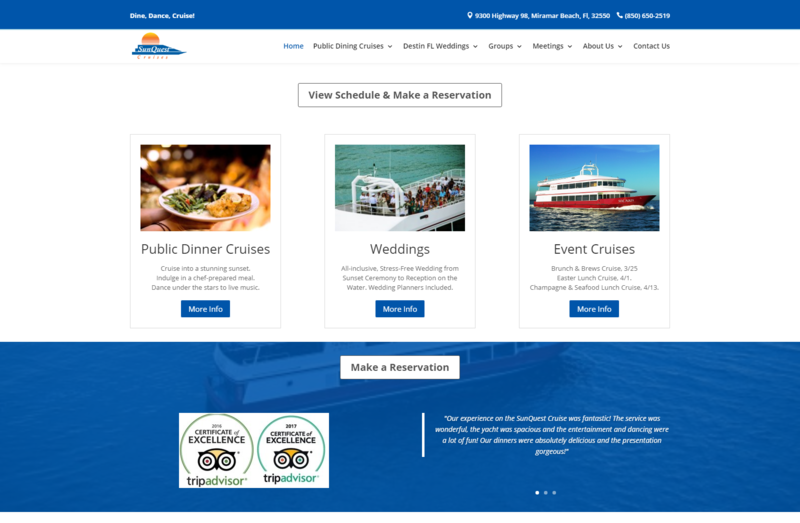 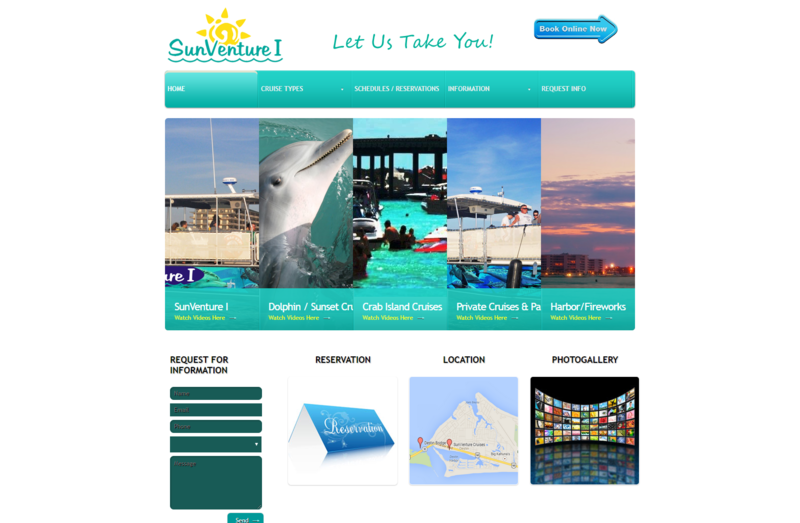 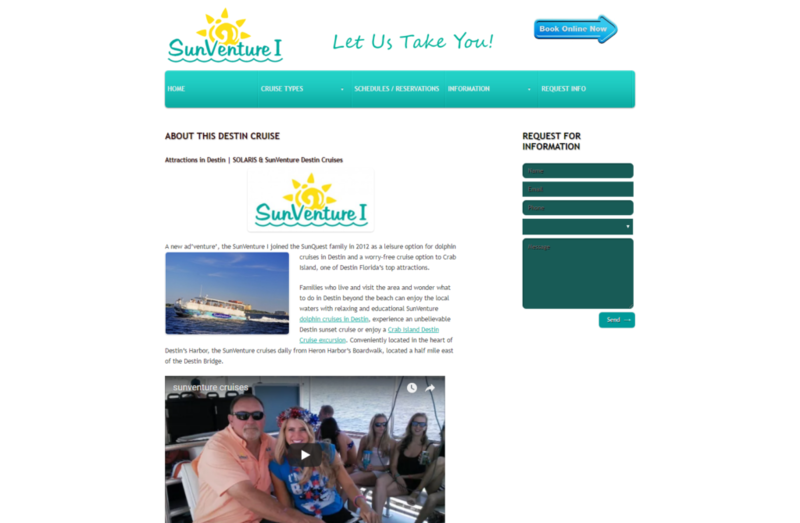 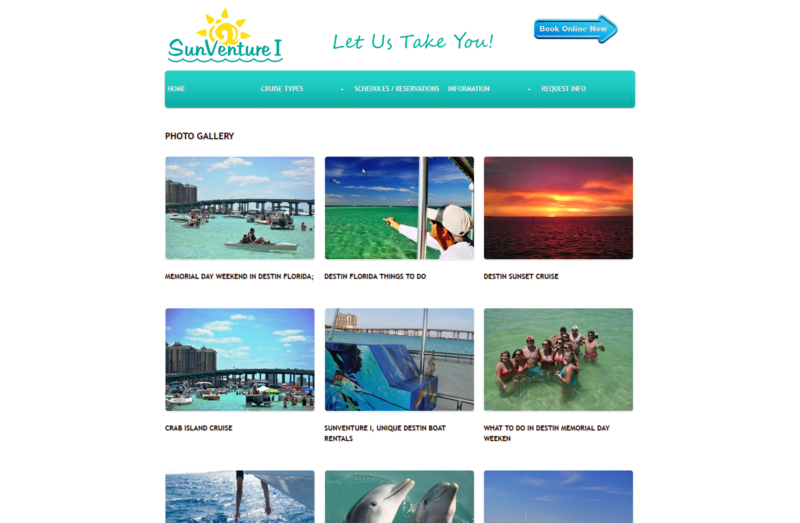 www.sunventurecruises.com is a WordPress website developed for SunQuest cruises for their second cruise boat which offers trips to Crab Island, Dolphin Cruises and more at Destin, Florida.